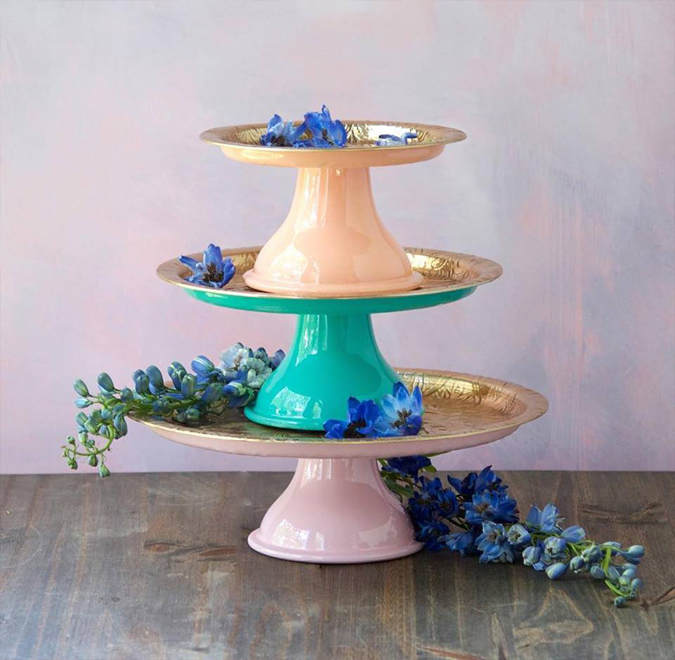 New spring goodies and returning favorites! 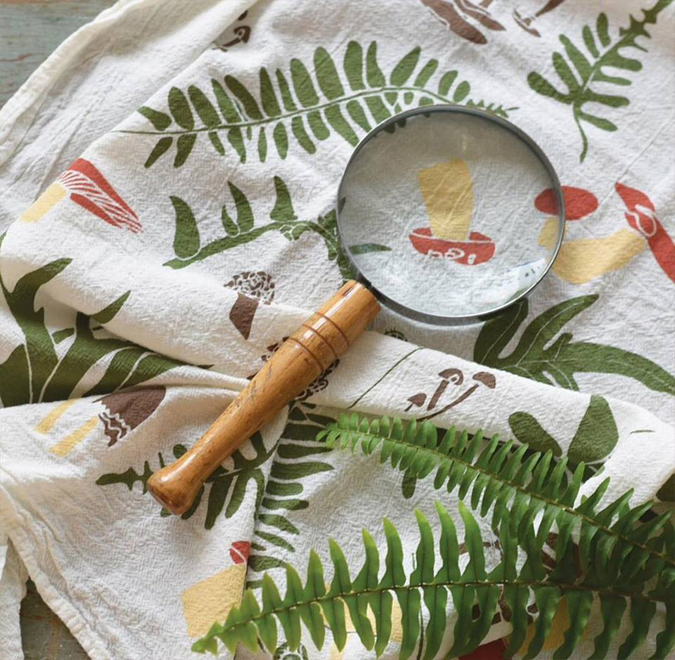 -and they make great tablecloths, too! And just like that, it feels like summer! for enjoying a beautiful day. 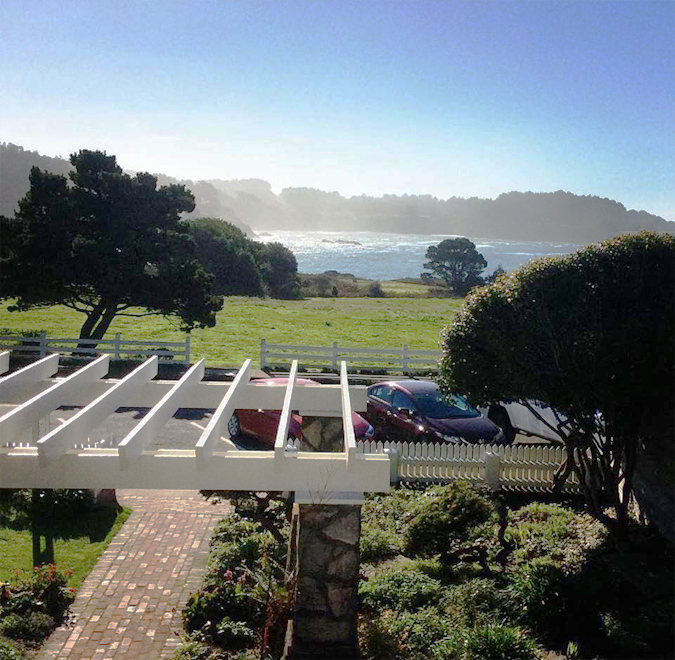 Besides the great shopping eating and dining in Downtown Mendocino, we also have the awe inspiring beauty of nature right outside our door. If it’s a beautiful sunny calm day or a wave crashing storm, or anything in between; this place is special. 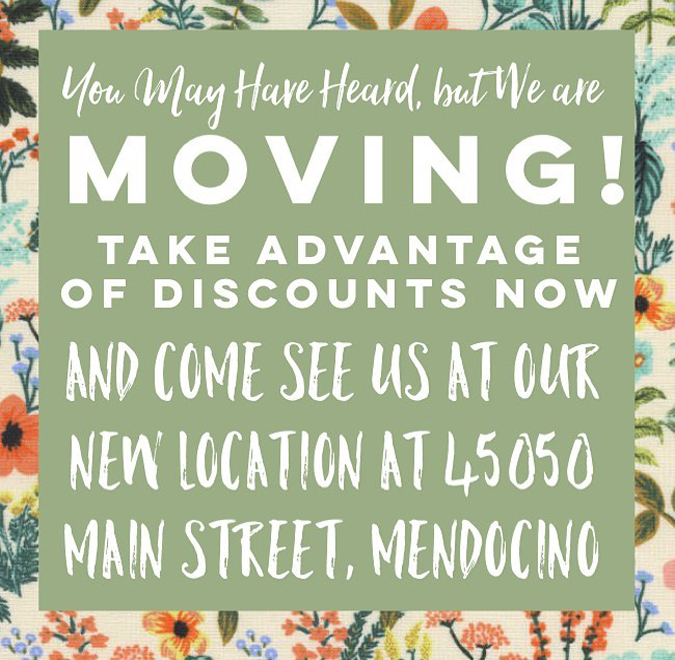 to all of our customers and your support during our move! 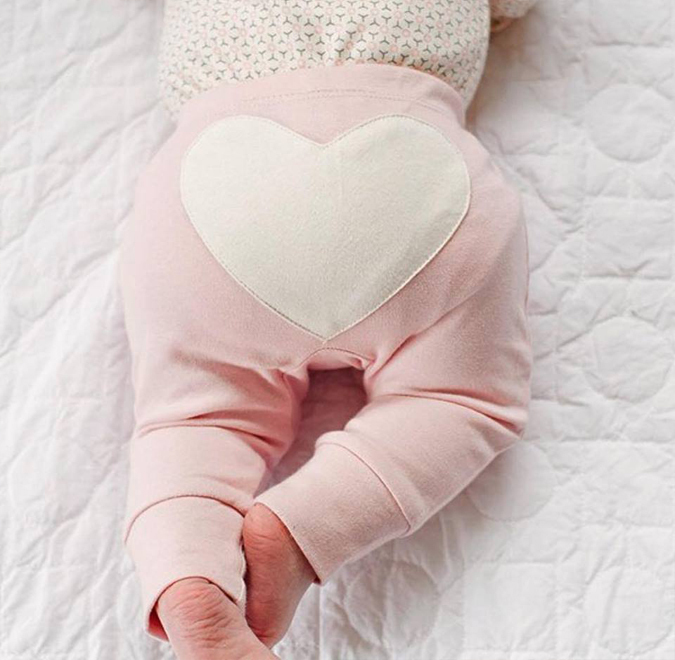 baby leggings, onesies, zip pajamas. 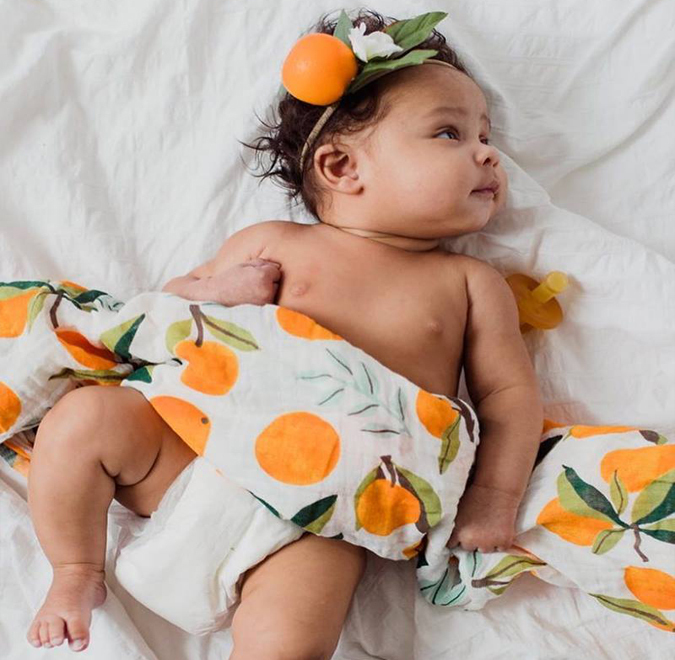 All organic and super soft! to do our biannual candle card drawing! The prize is a free case pack! 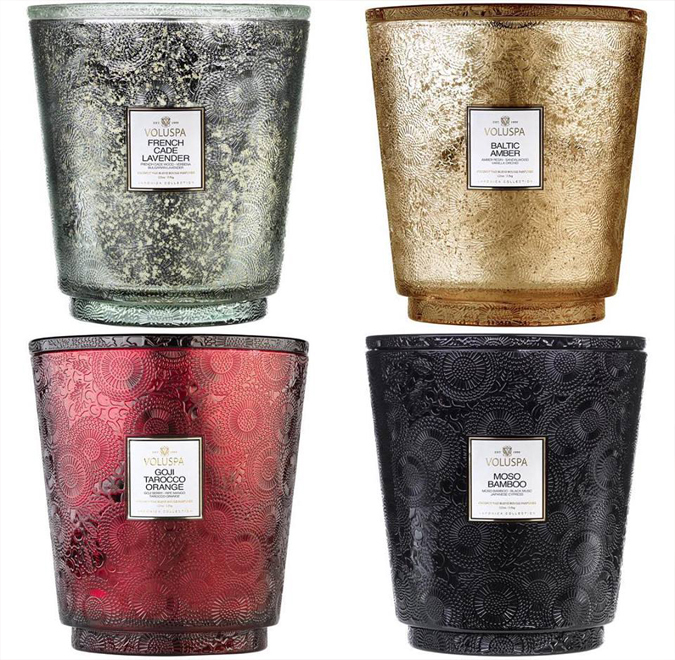 — choose 8 small, 6 medium, or 4 large candles! come in and pick up a candle punch card! Each completed card gets you a free small candle and enters you into the drawing. 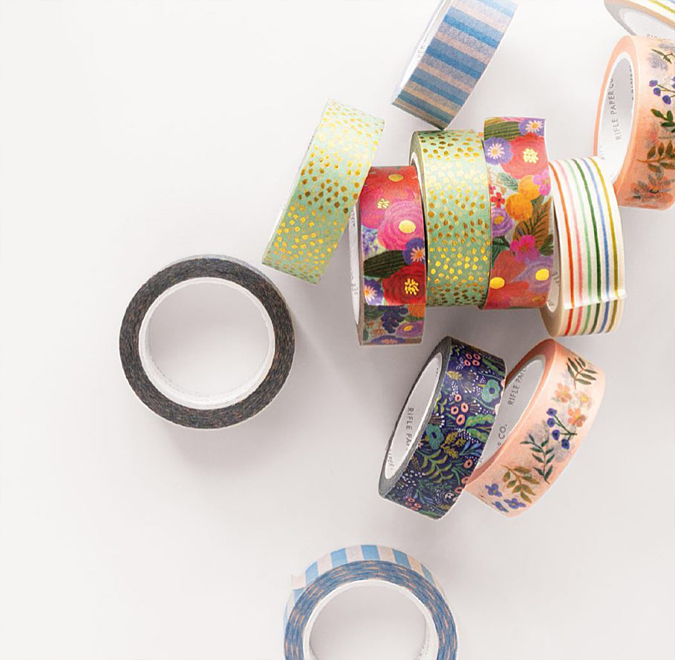 We have fun rifle Paper washi tape in a variety of colorful patterns and floral assortments! 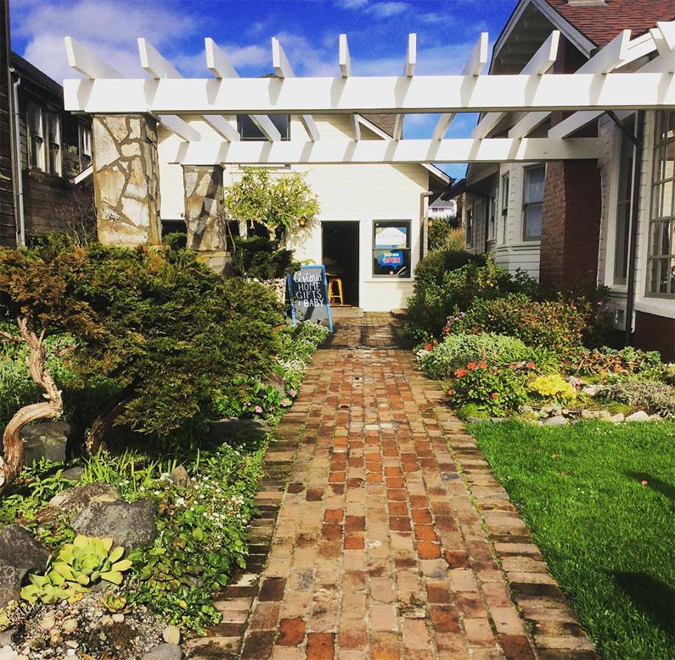 at our new location in Mendocino! 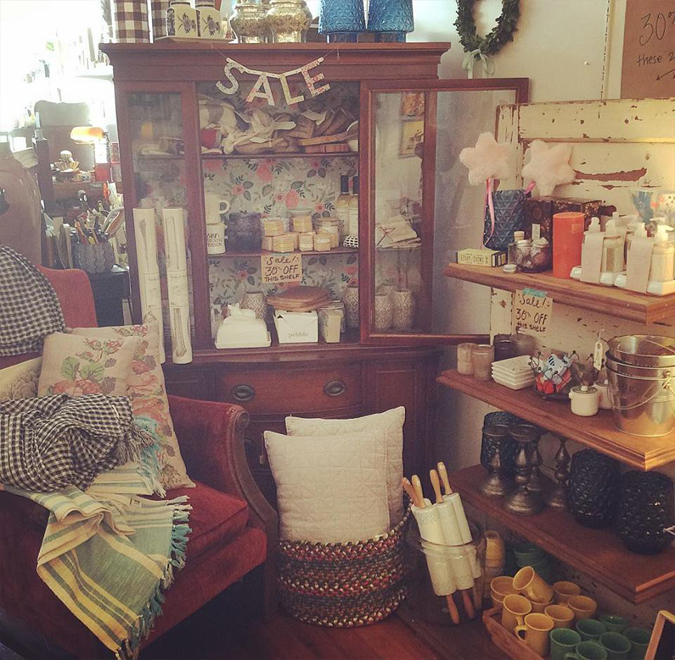 and lots of great new inventory! 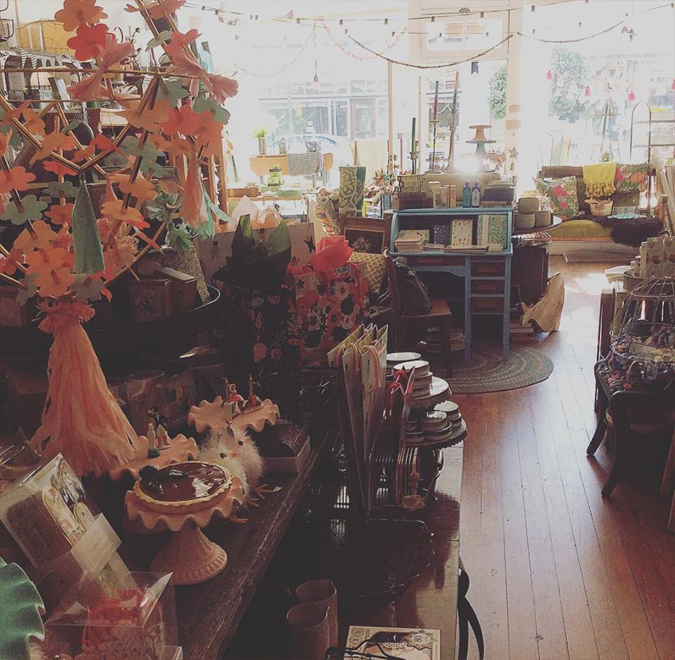 If you are in or around Mendocino and need a baby gift or something for your little one, come on by. 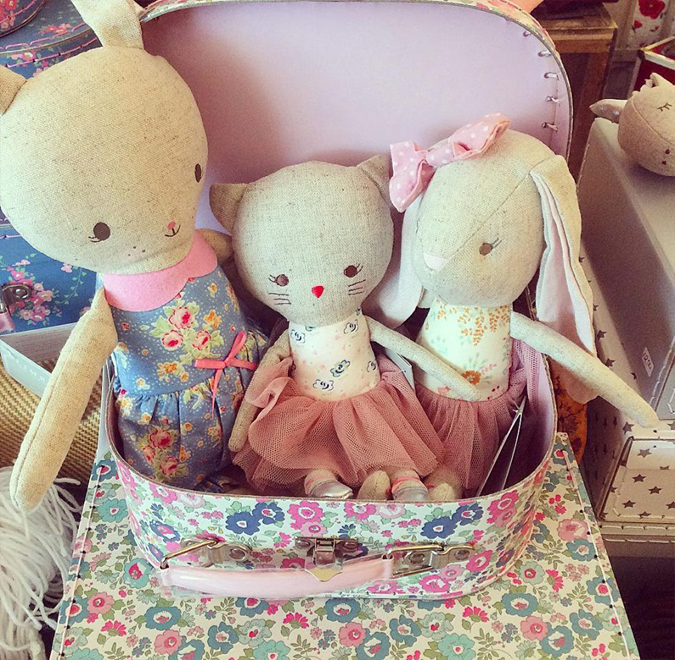 We have a wide selection of clothes, rattles,toys and many more accessories! 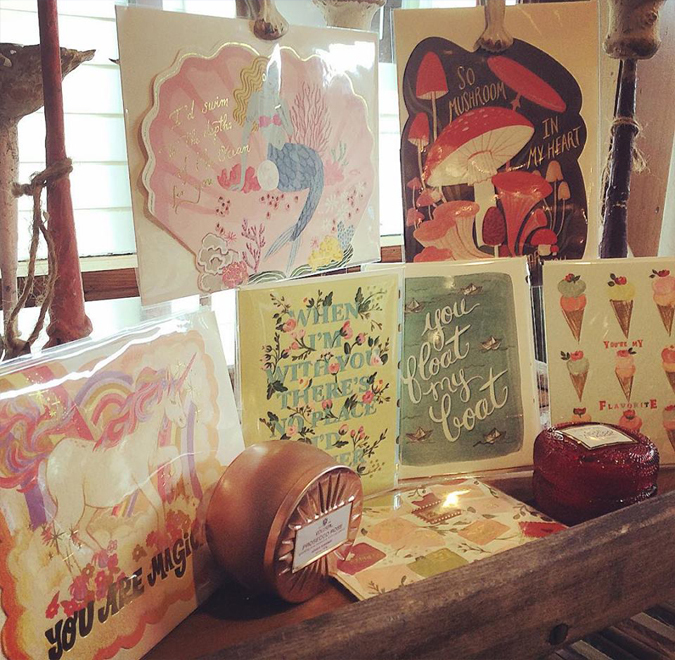 Lots of Greeting and Occasional Cards at Astoria Home Store Gift Shop in Downtown Mendocino! We’ll be here until 5:30. 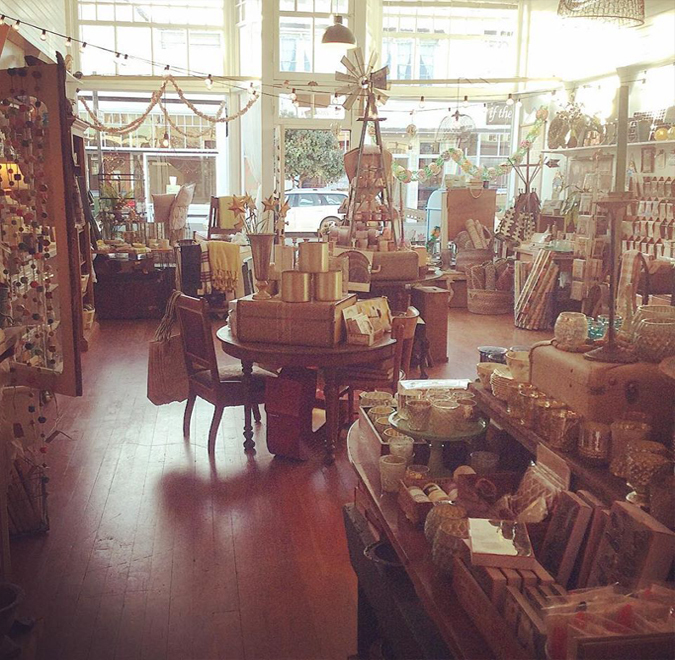 We’re now open at Astoria Home Store’s new location at 45050 Main Street in Downtown Mendocino! 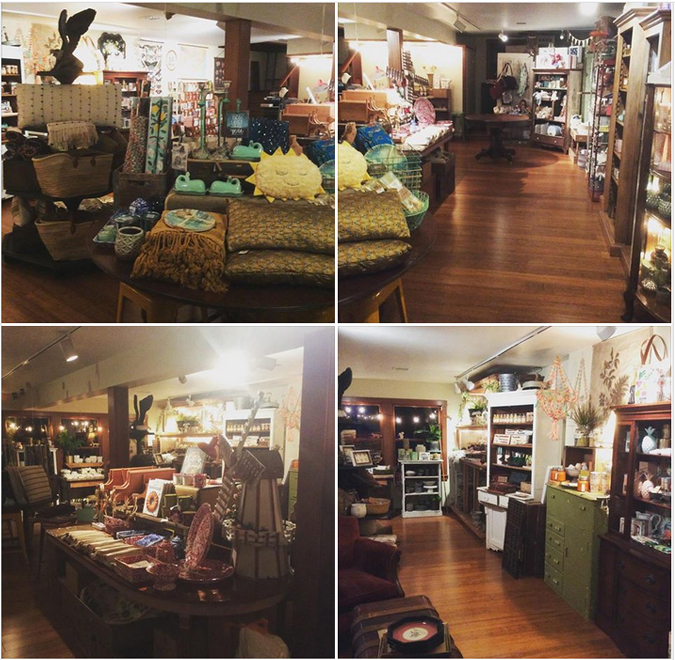 We just finished setting the shop up this evening! We’ll be open tomorrow at 11! 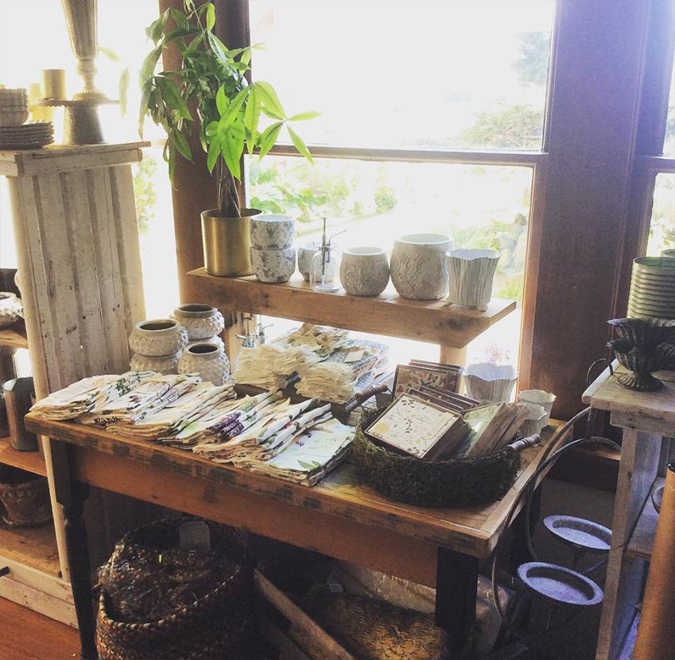 Come see us at our new location in Mendocino! 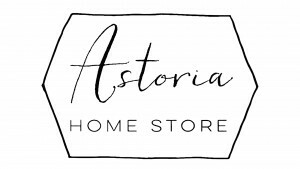 Astoria Home Store and Gift Shop Now Open in Downtown Mendocino! We’re planning to open in the next couple of days! 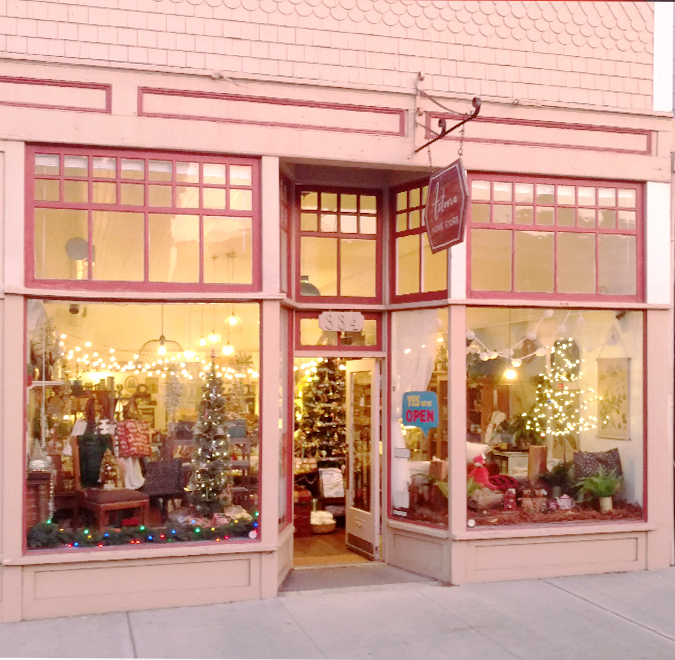 Astoria Home Decor and Gift Shop is now located at 45050 Main Street in Downtown Mendocino! We will have a soft opening February 2nd! We have a handful of calendars left now at 30% off! Come get them while they’re (and we’re) here! 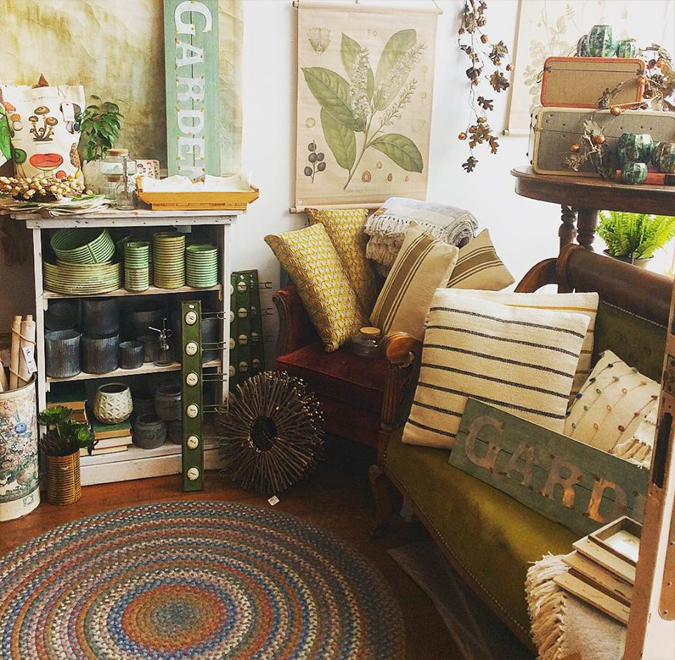 Open tonight ‘til about 8 for First Friday! 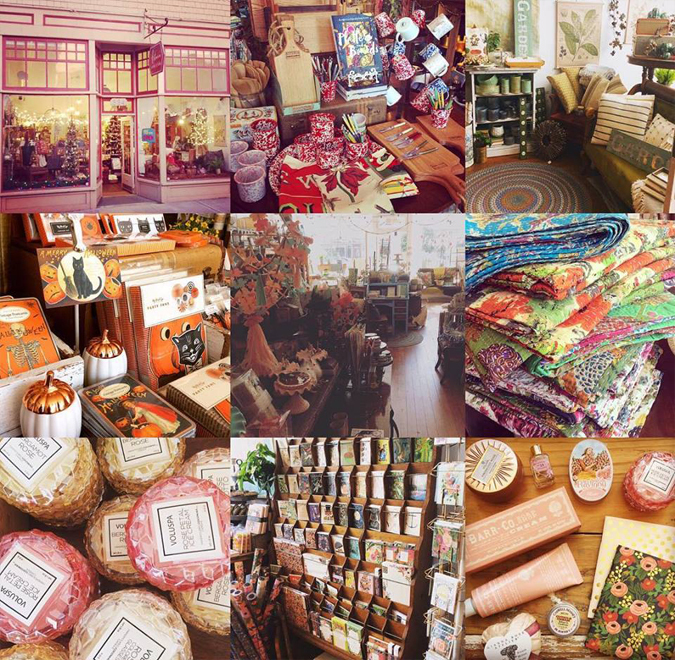 Astoria Gift Shop at 334 N. Franklin Street in Downtown Fort Bragg Moving Sale We are moving to 45050 Main Street in Mendocino Gift Shopping in Mendocino Village! 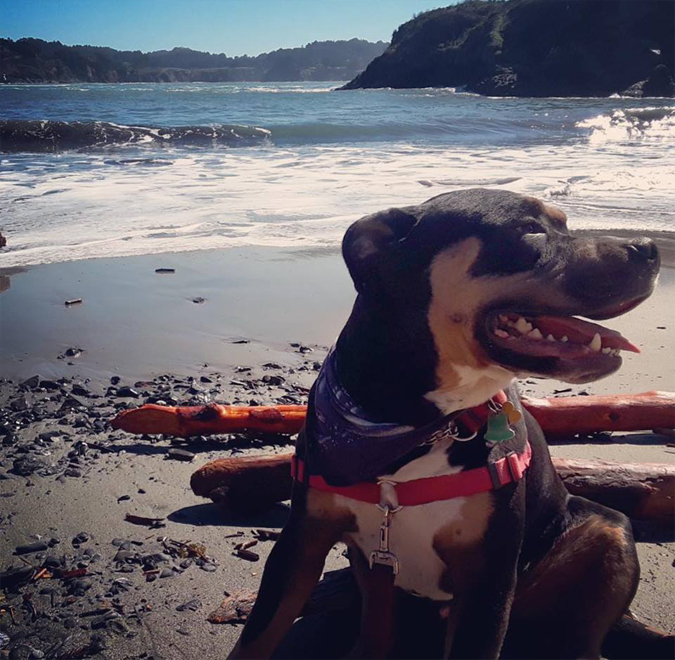 at our location in Fort Bragg! 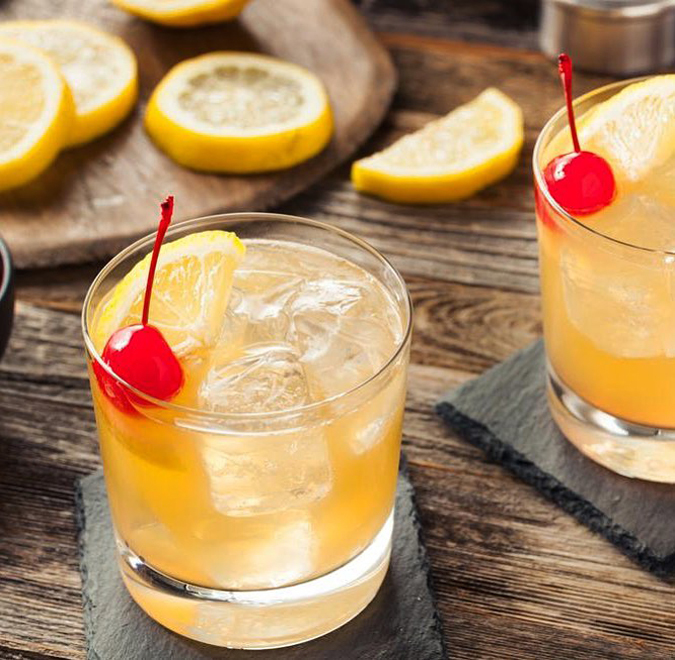 We’ll be serving our favorite cocktail and have lots of discounts! 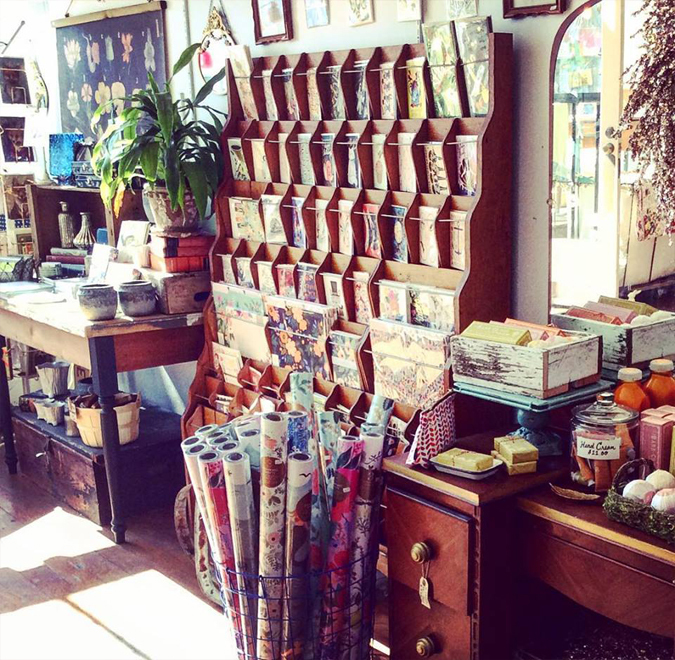 A good portion of the store is between 30-50% off! Not just for the evening, but starting now! Thank you everyone for a great year! We’re excited for the changes ahead and what the next year brings! 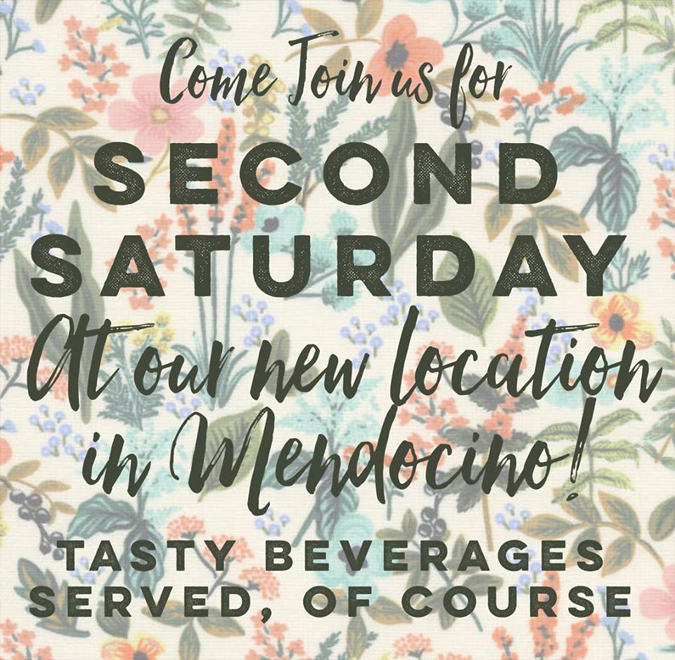 Please come see us at our new spot in Mendo! We will be having a major clearance sale for the next two weeks or so! 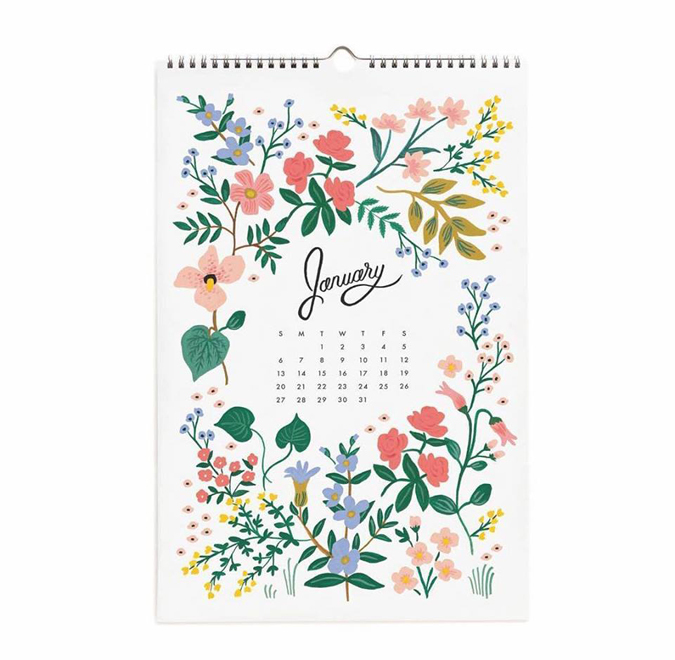 So many lovely calendars that make great gifts! 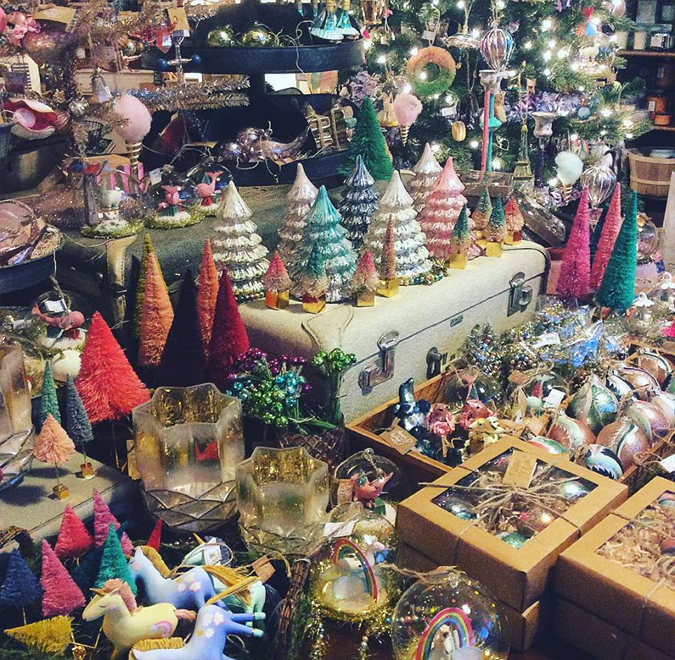 We’re open tomorrow (Christmas Eve) from 11-3! 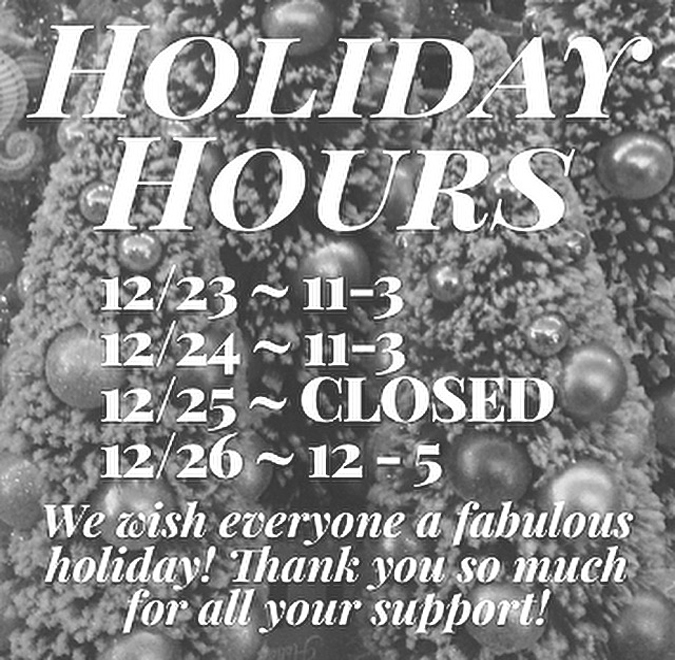 our holiday hours for the next few days. and stocking stuffers in stock! 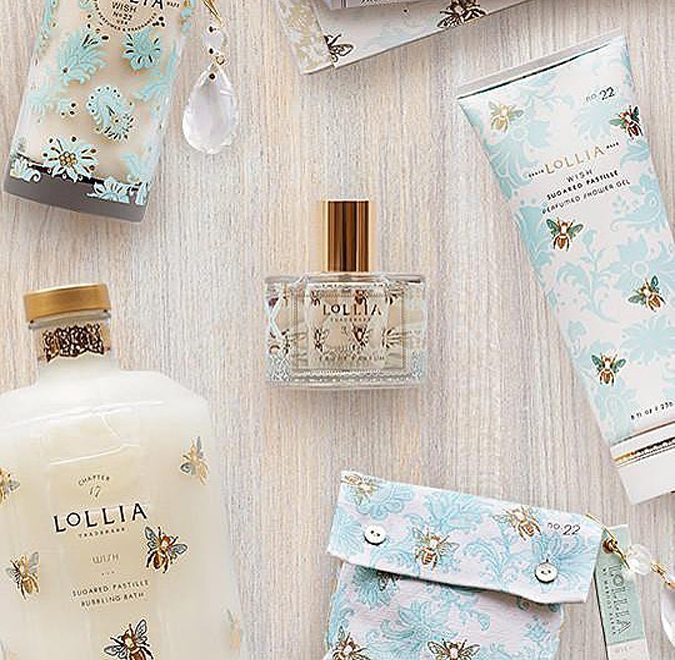 from our luxurious Lollia line. 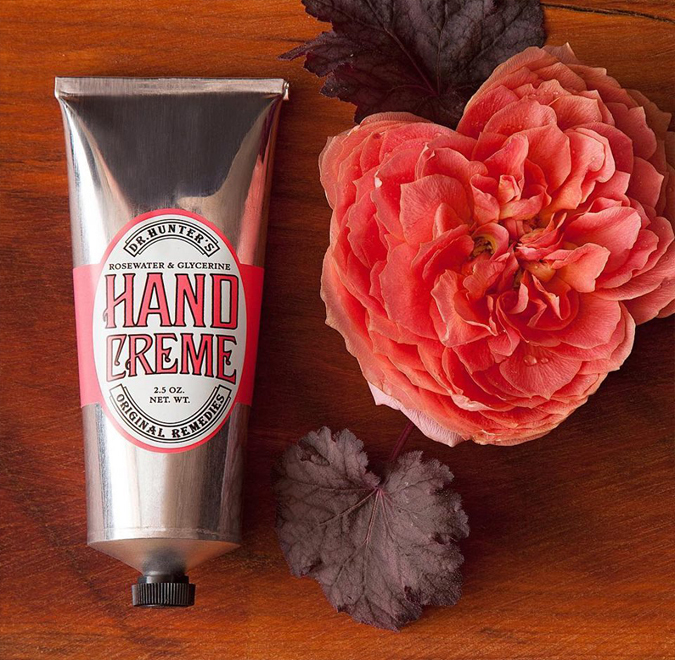 Light, moisturizing hand creme in scents that delight! 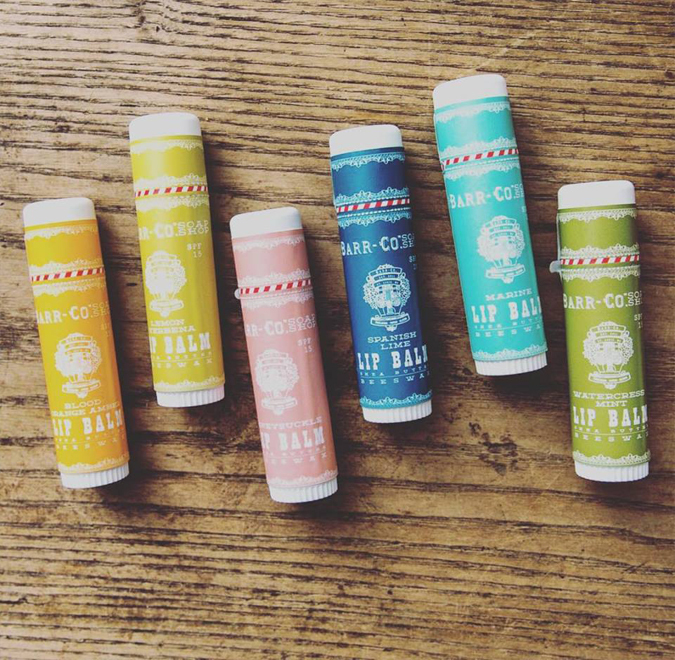 and are an SPF filled beeswax giant tasty fabulous lip balm! Restocked on the best ones! 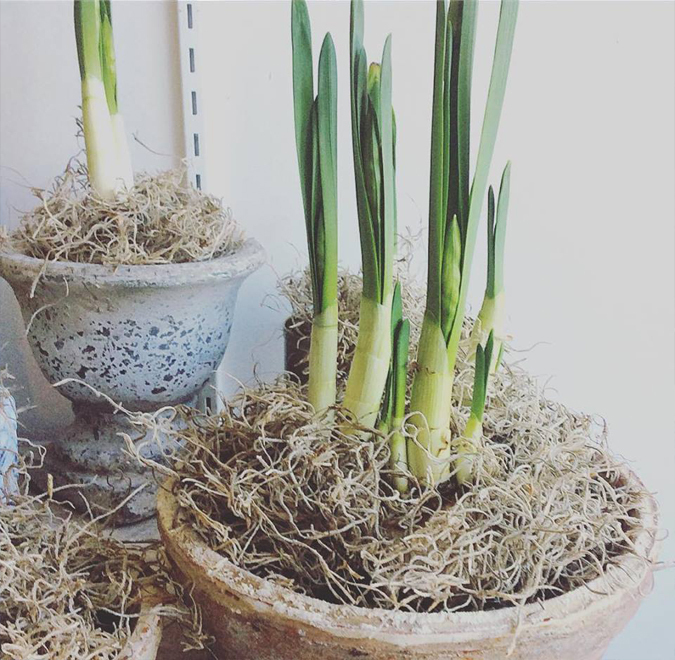 These pretty little paperwhites are ready for new homes. 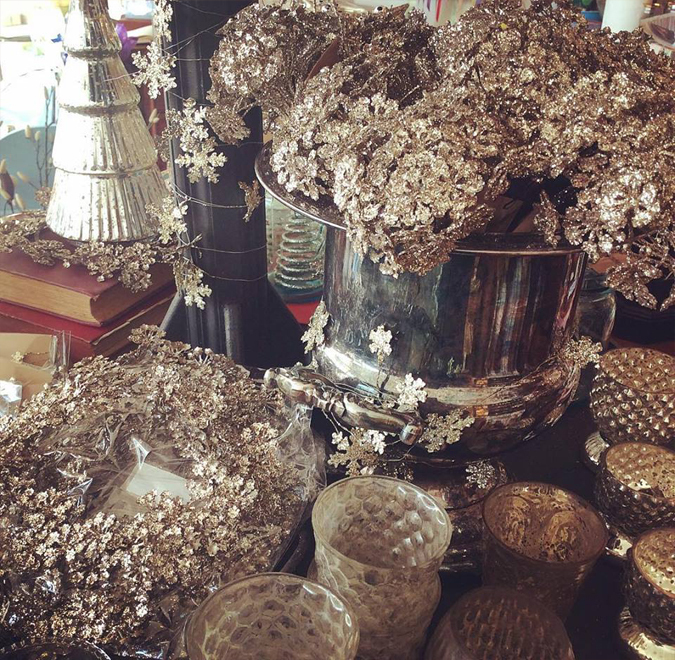 They make great hostess gifts or centerpieces for your table. 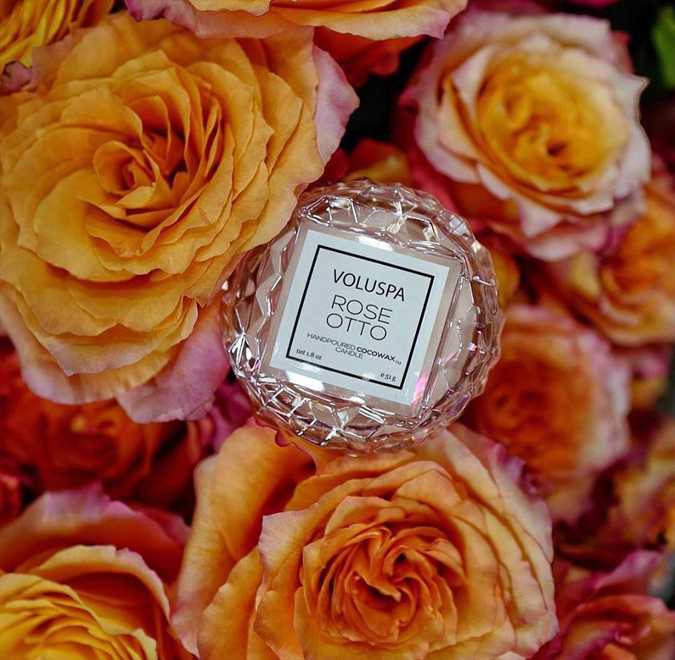 So many wonderful scents from Voluspa are in stock! 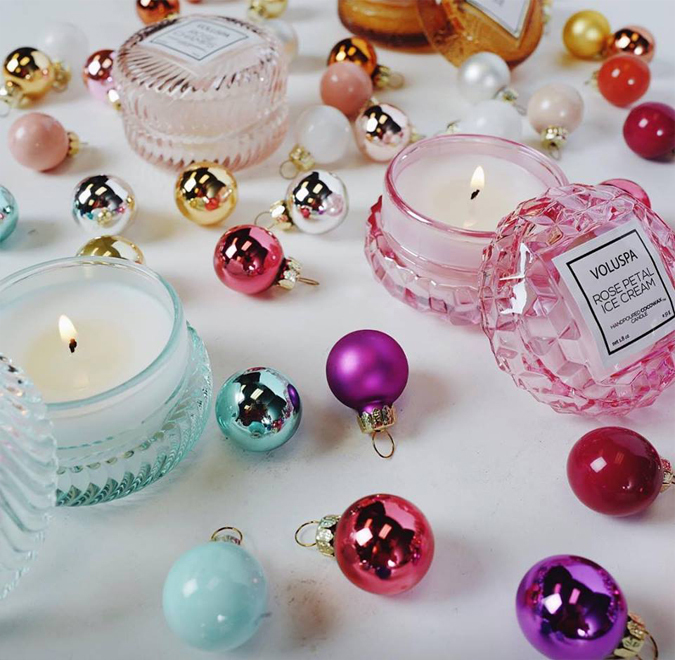 These little macaron-shaped candles make great stocking stuffers! Only 10 more shopping days ‘til Christmas! 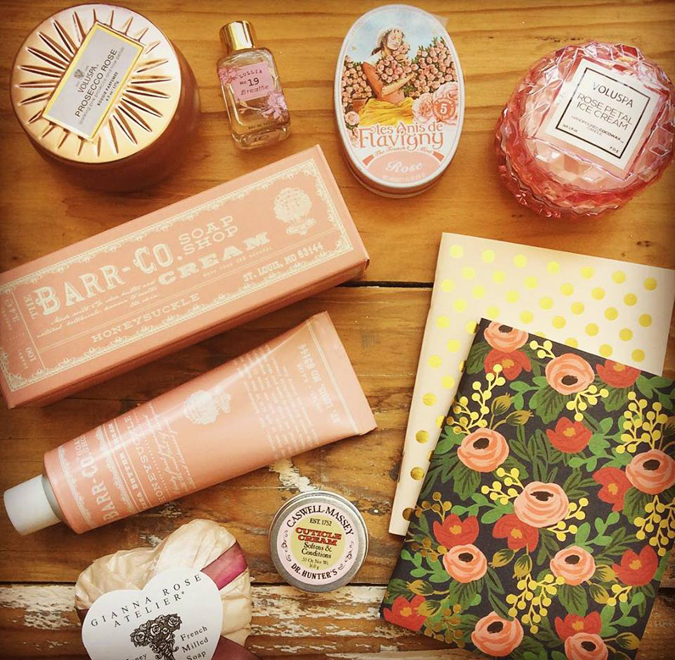 Lots of your favorites from Barr-Co and Simpatico are back in stock! All American farmed vegetable wax and hand poured in St. Louis. 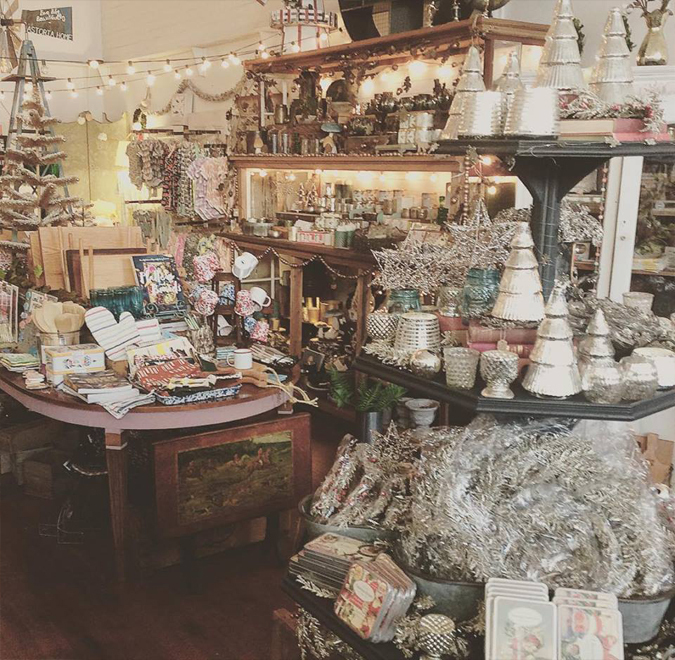 A plethora of holiday decorations are BOGO half off tomorrow for First Friday! 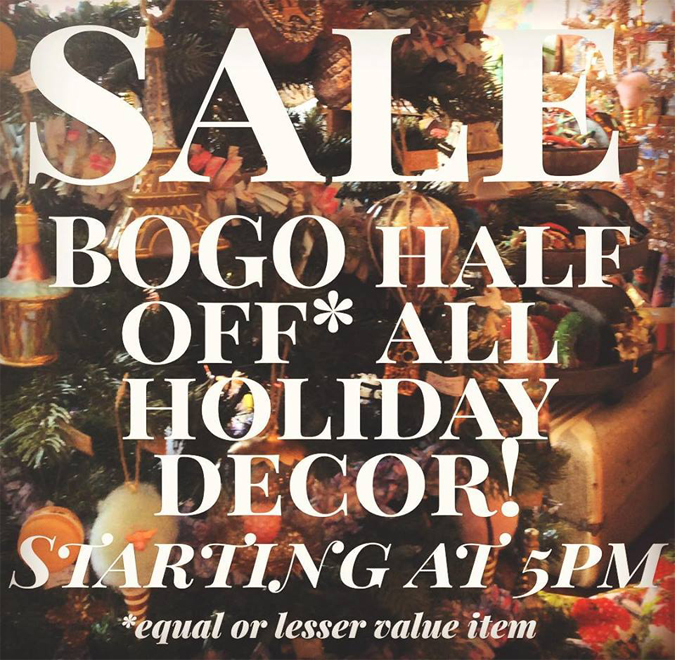 Starting at 5pm we’ll have our SALE and some tasty beverages! 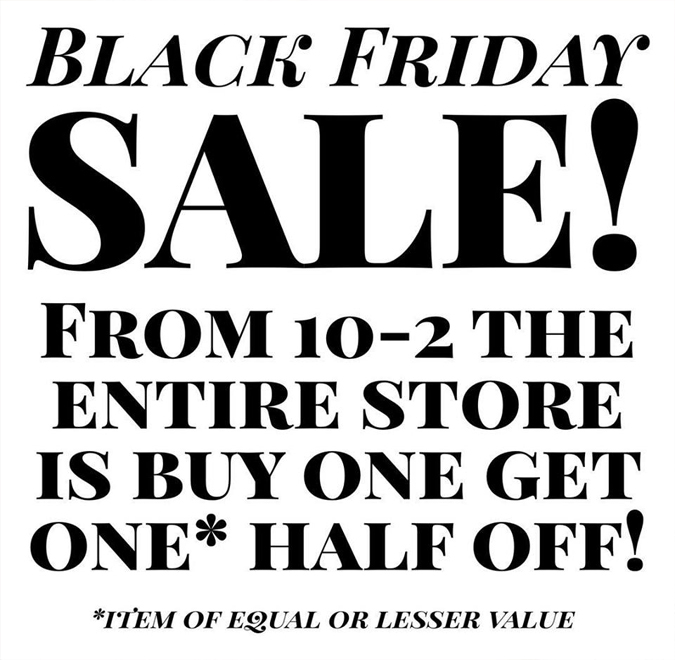 BOGO Sale for December’s 1st Friday! 2018 Christmas Sale! 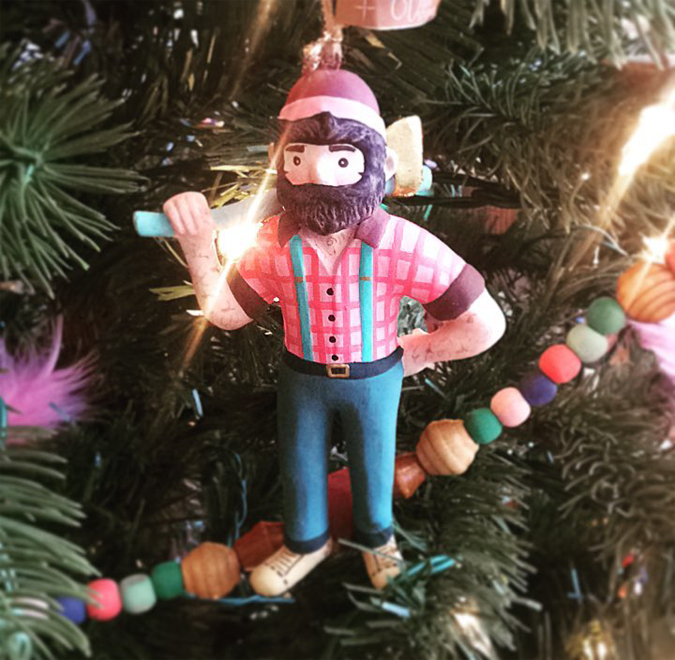 it’s time to deck the halls! are buy one get one half off! We’ll also have a tasty beverage, of course! 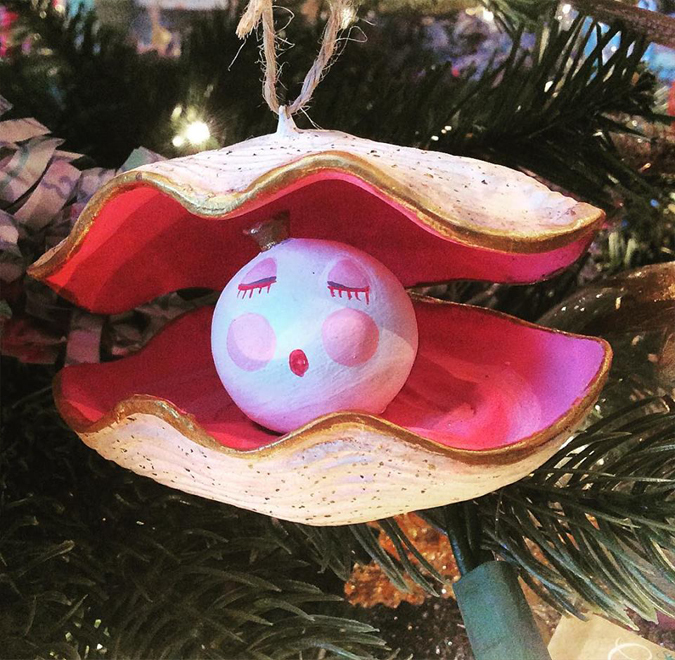 The sweetest little princess pearl for your tree! 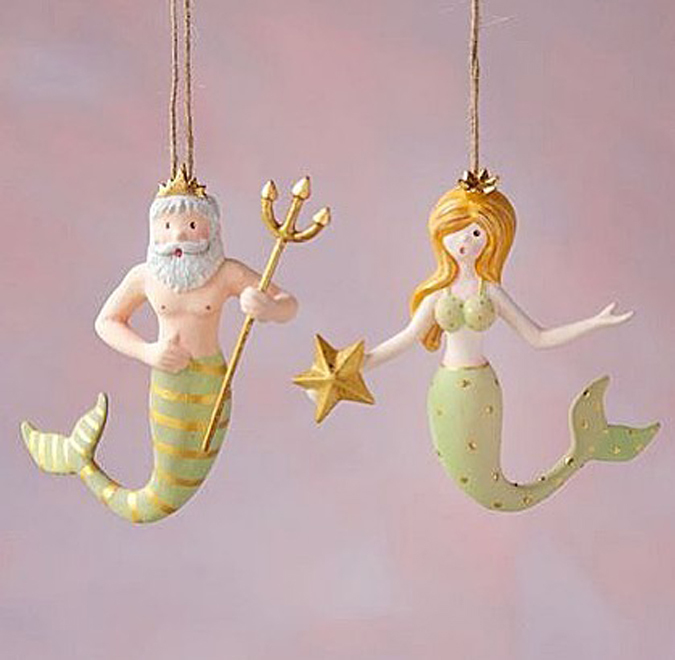 The cutest Mermaid and Neptune ornaments are in the shop! to everyone who came out and supported us this weekend! 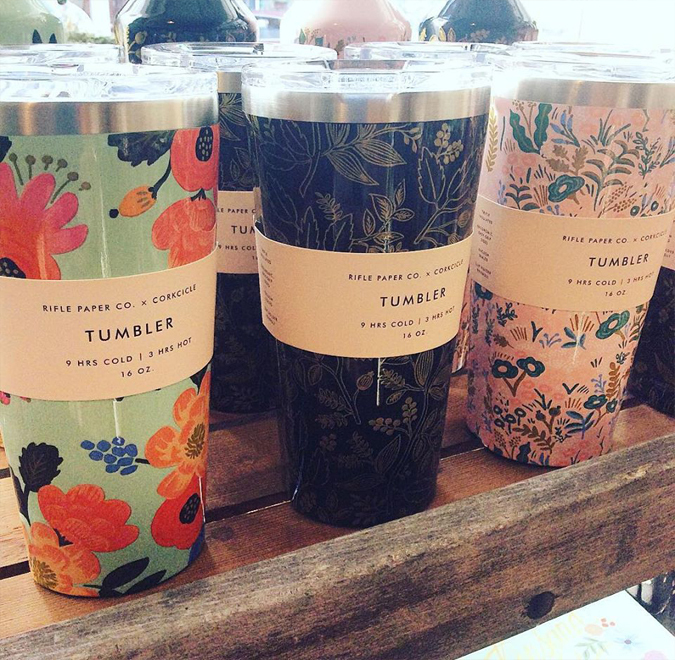 We received more of these great tumblers and canteens in more patterns! 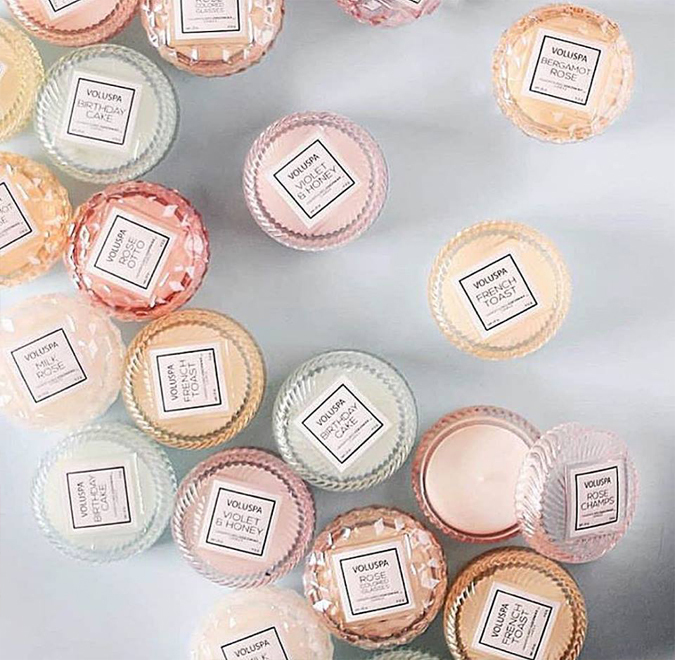 Up your candle game with these holiday favorites! 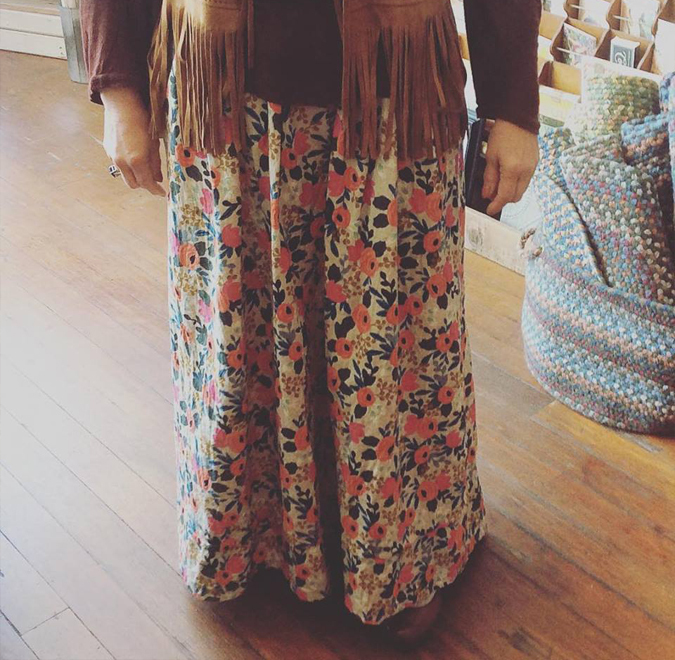 These and so much more are BOGO half off from 10-2 on Friday! 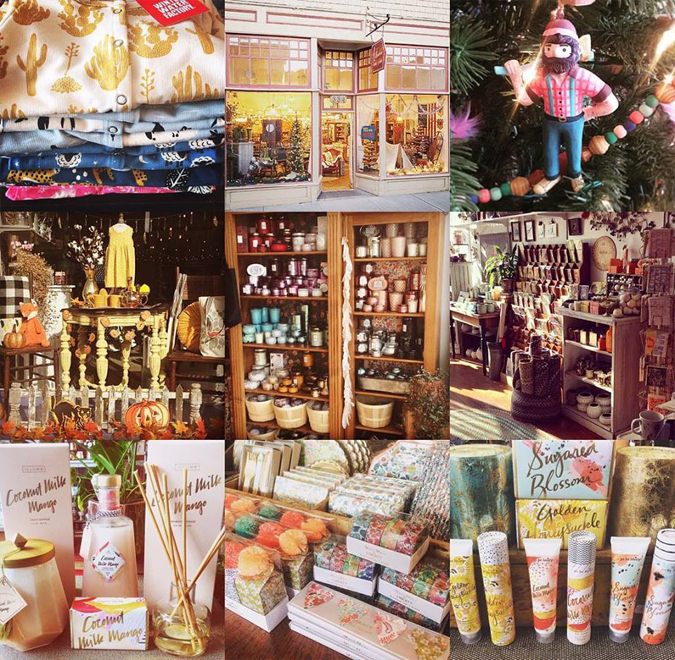 for your Christmas – Holiday shopping! and all the wonderful things inside! 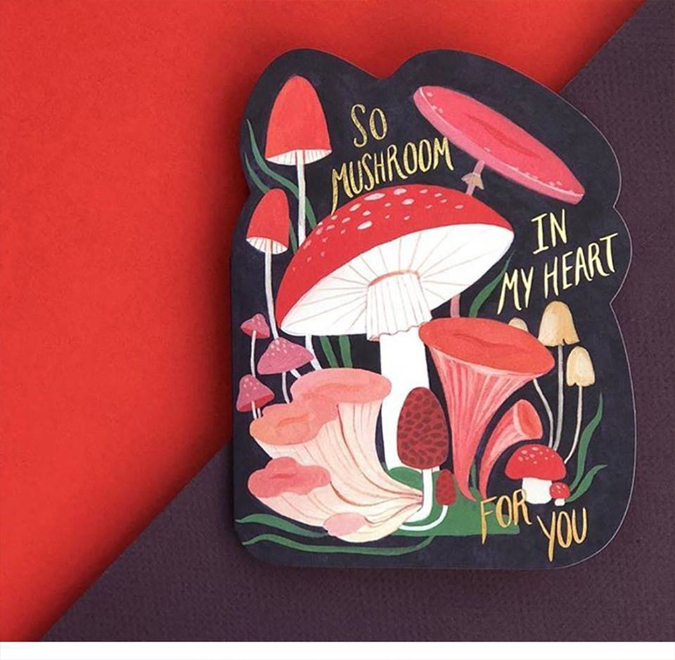 and more from Rifle Paper Co! while sipping a tasty beverage. 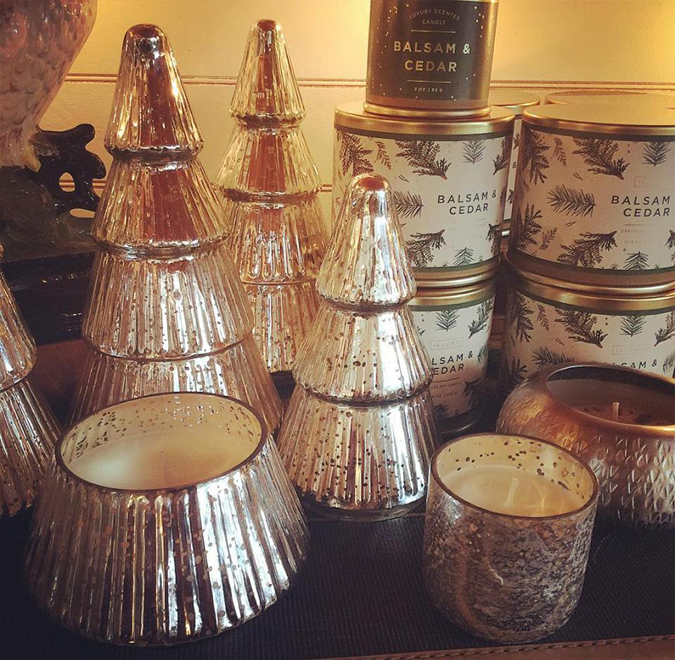 Christmas – Holiday Season is Upon Us!! 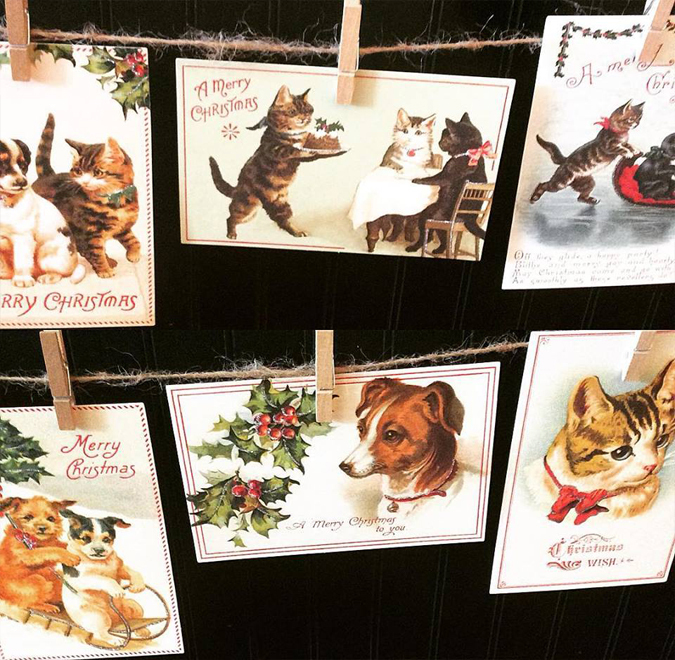 Holiday kitty and doggy postcards! 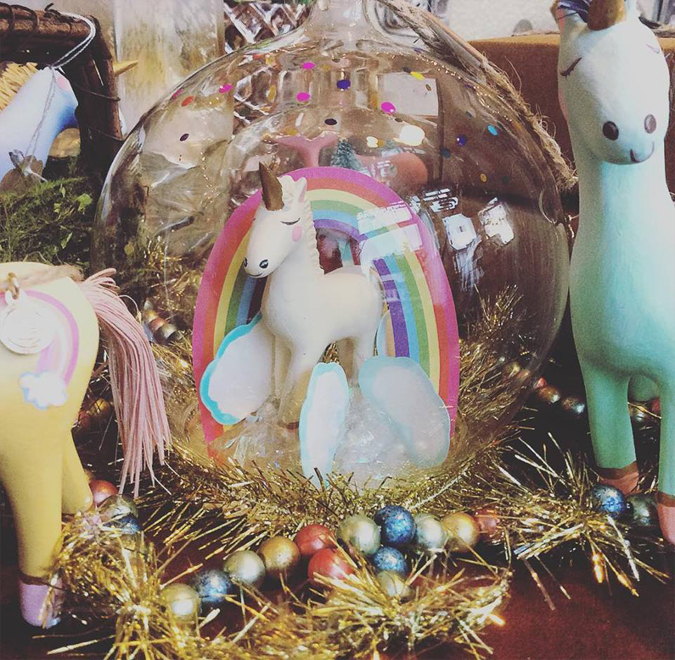 We have so many magical, glittery things in right now! Love this big oblong woven pillow and matching throw! Perfect on the bed or couch! 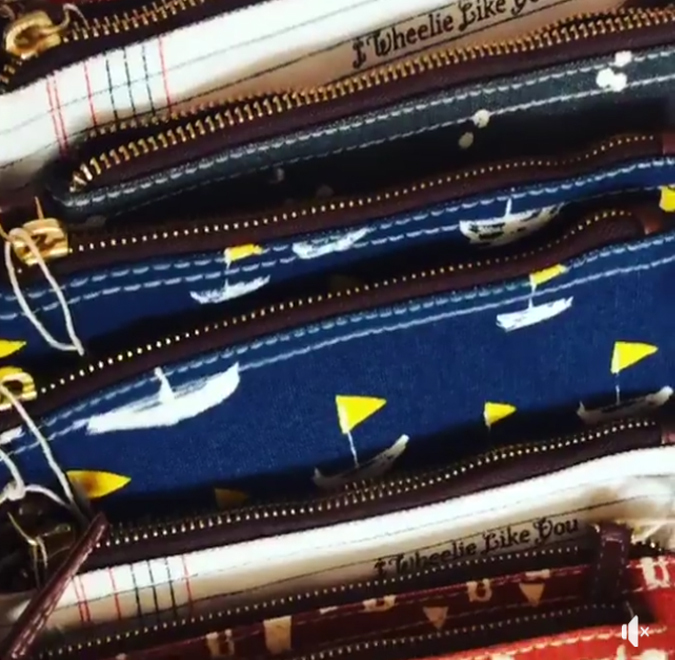 Lots of new pouches are in! Glittery new necklaces and earrings arrived from La Vie Parisienne. while maintaining the refined elegance that defines this brand. 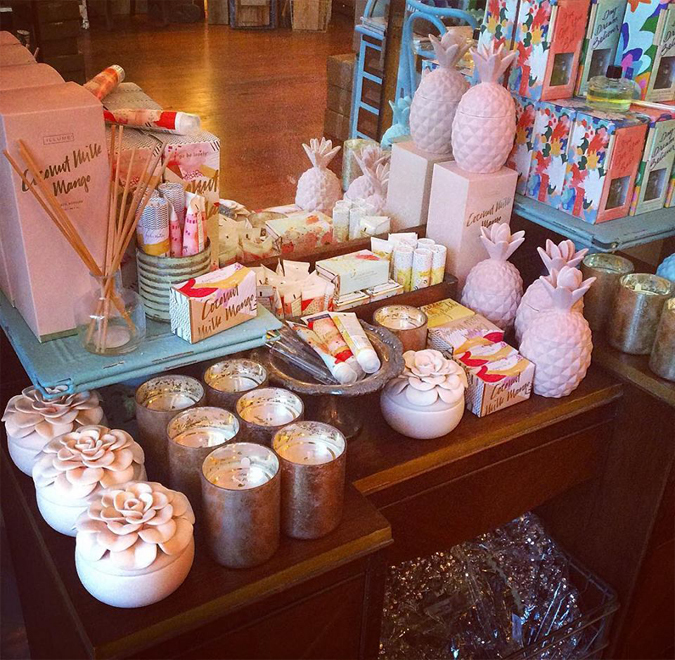 Restocked on Coconut Milk Mango goodies including these pretty flower and pineapple shaped candles! that retail for only $14! 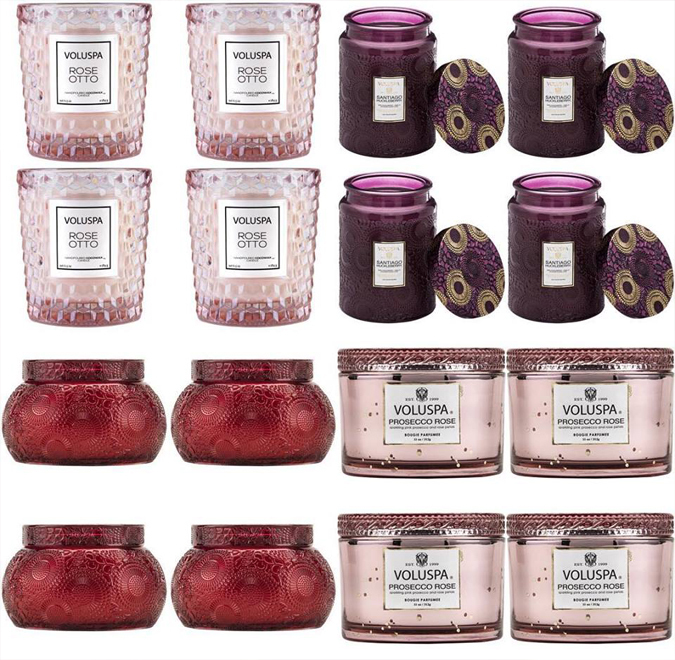 Both count as punches for your candle card! 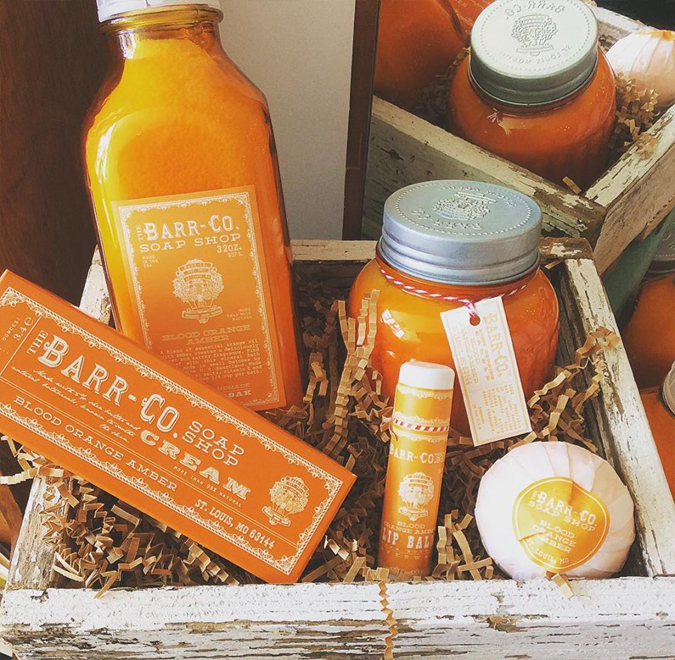 ‘Tis the season to start rolling out some sweet gift ideas. and fruit filled tea towel. 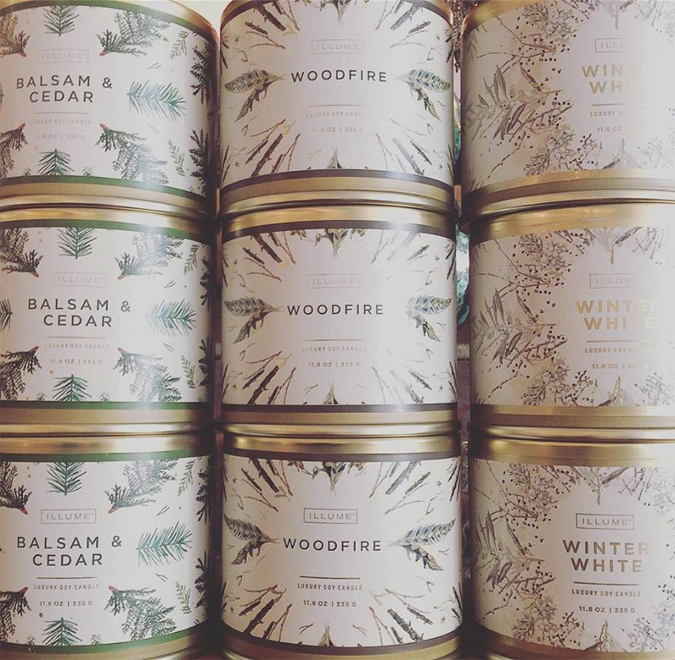 Balsam & Cedar, Winter White, and Woodfire. -and make awesome containers when you’re done! 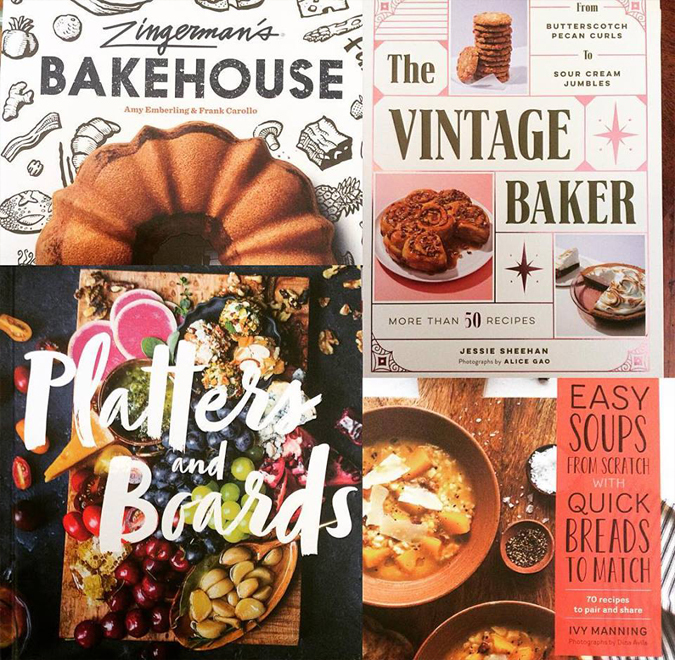 Lots of new cookbooks in the store! 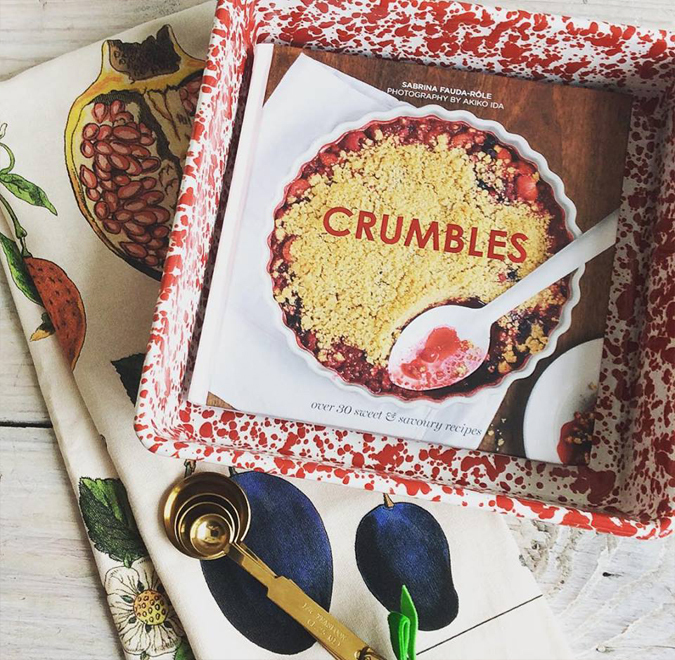 ‘It’s the season for baked goods and entertaining! Paul’s back! And he brought friends! 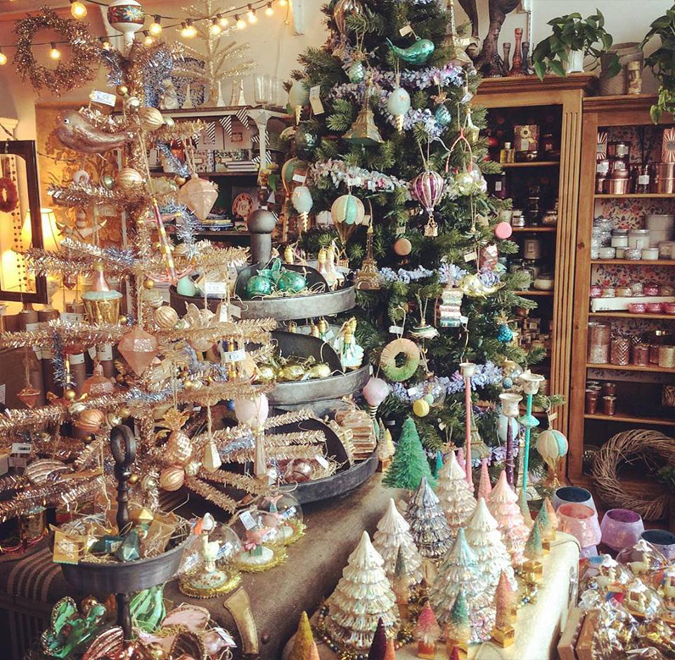 We have a bunch of new ornaments just in! Stop on by or acquire here! 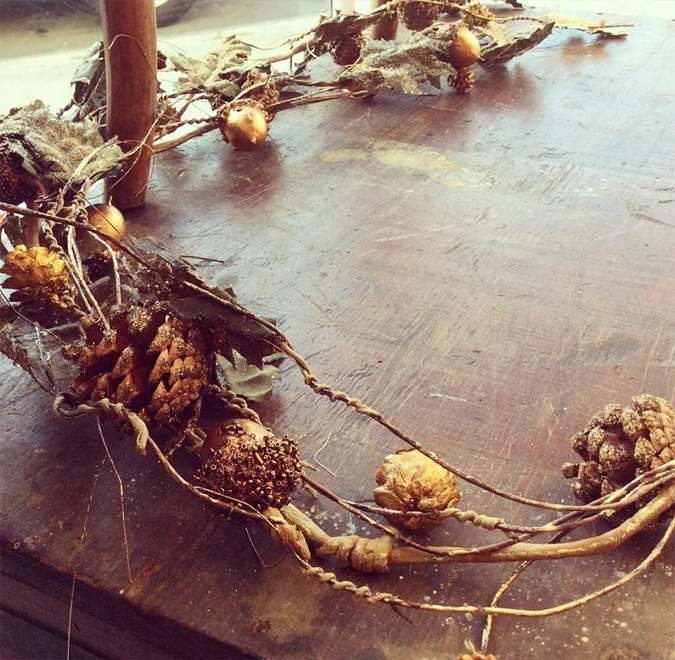 These garlands are what autumn dreams are made on! but have a few more to sell to you at a ridiculously good price! 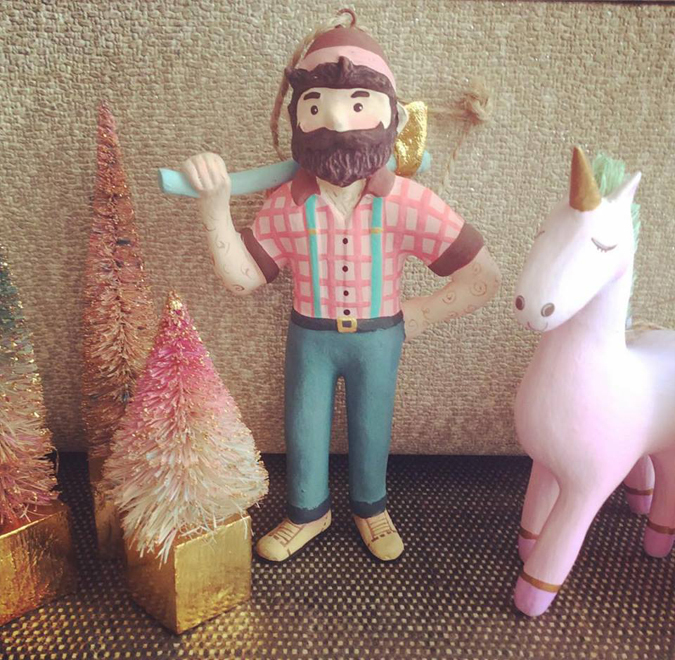 We love their bendy, glittery, pineconey, acorny goodness. 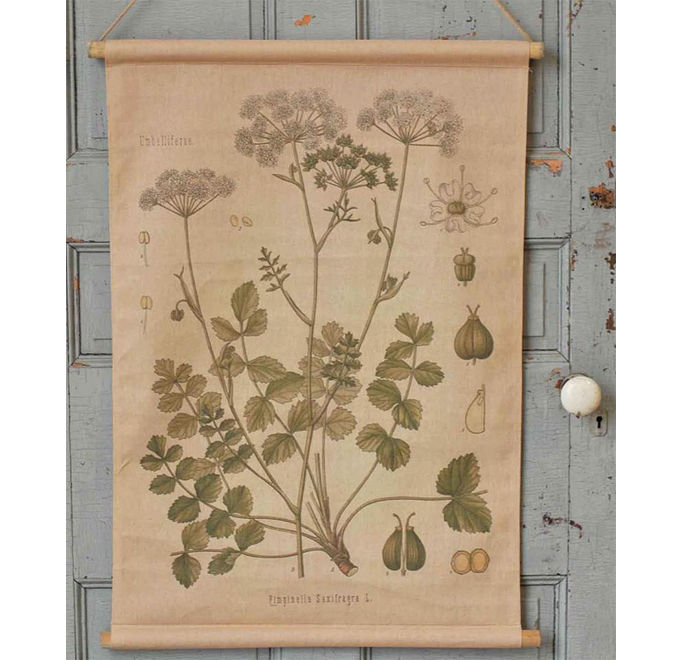 More cool botanical wall hangings IN THE SHOP! 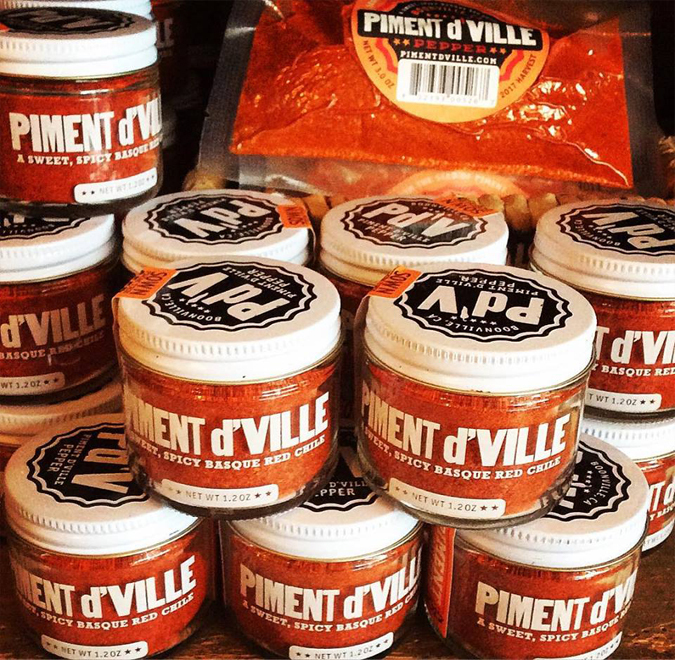 Pretty excited to have Piment d’Ville from Anderson Valley available here online! 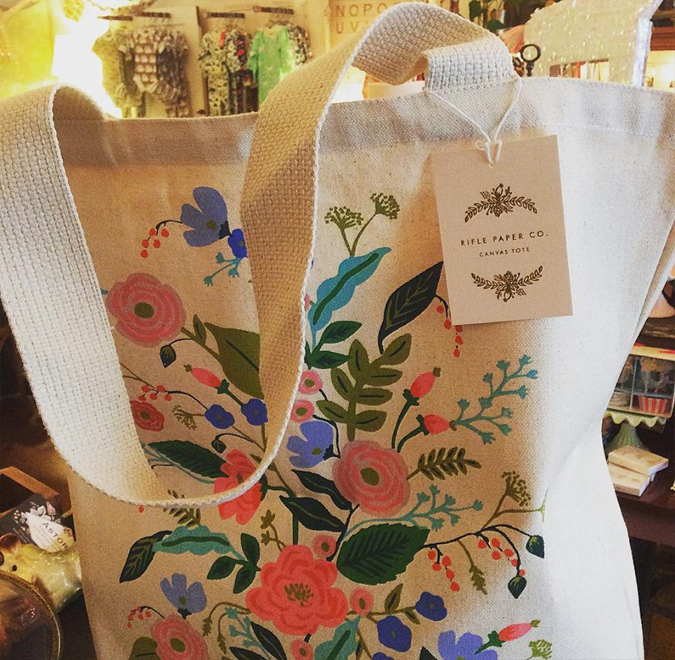 just got these nicely sized canvas totes from Rifle Paper! 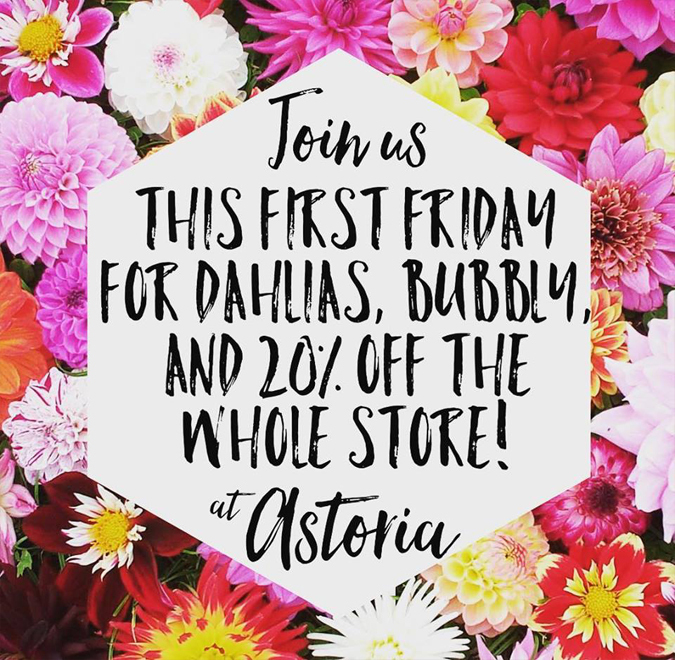 First Friday is here again! 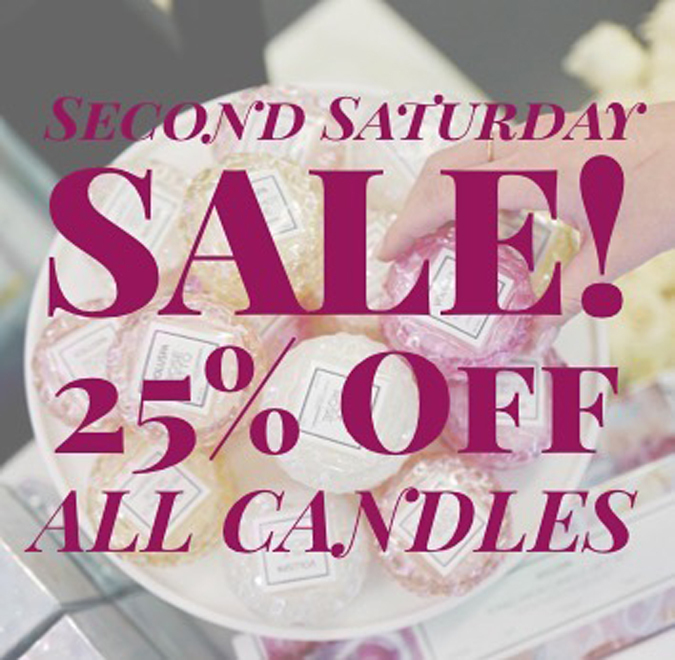 -and all bath and body products are 25% OFF! 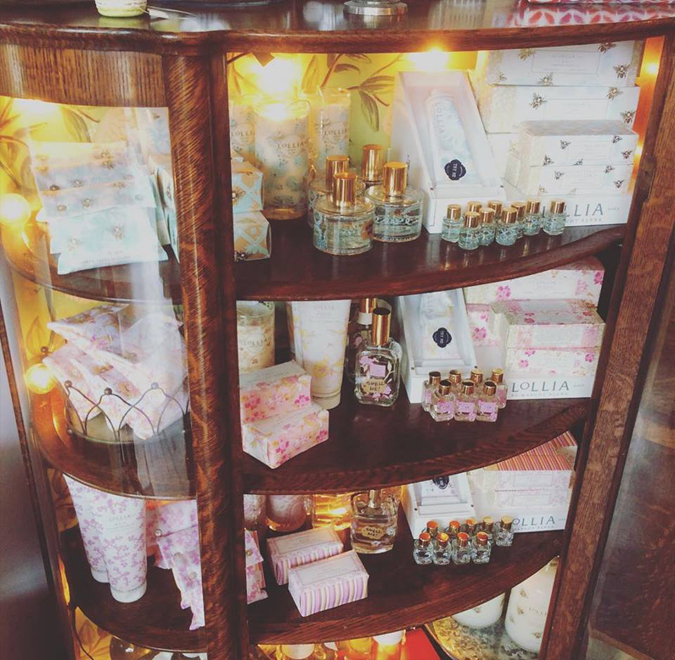 and stock up on your favorite bath and body products! Lollia has a new home in our old curio cabinet. 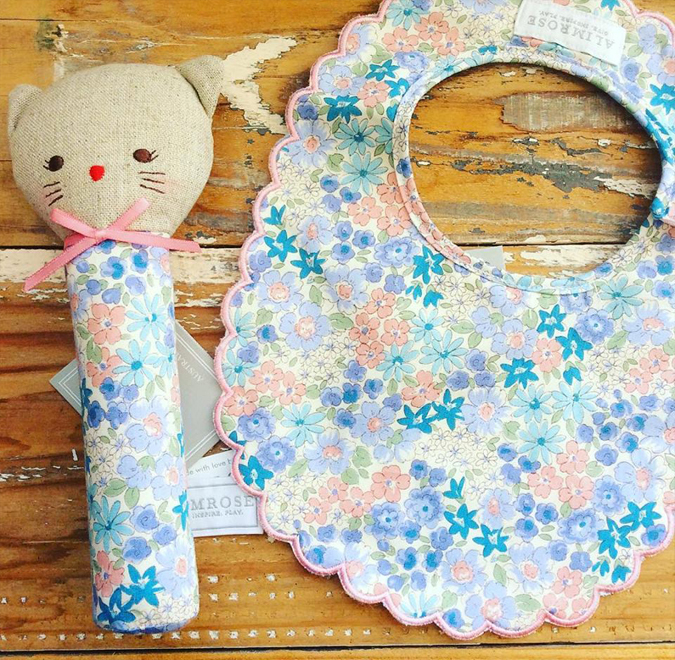 The cutest little squeakers and bibs are back! 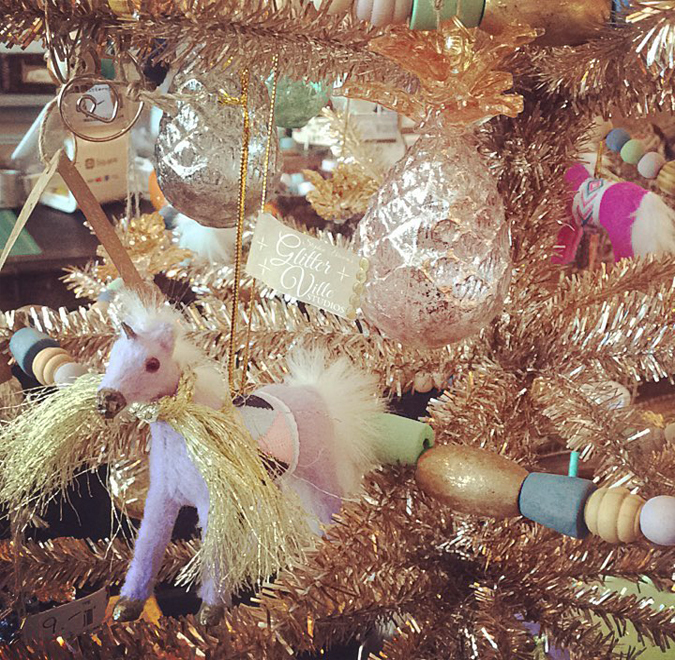 Unicorns, fawns, and kitties galore! 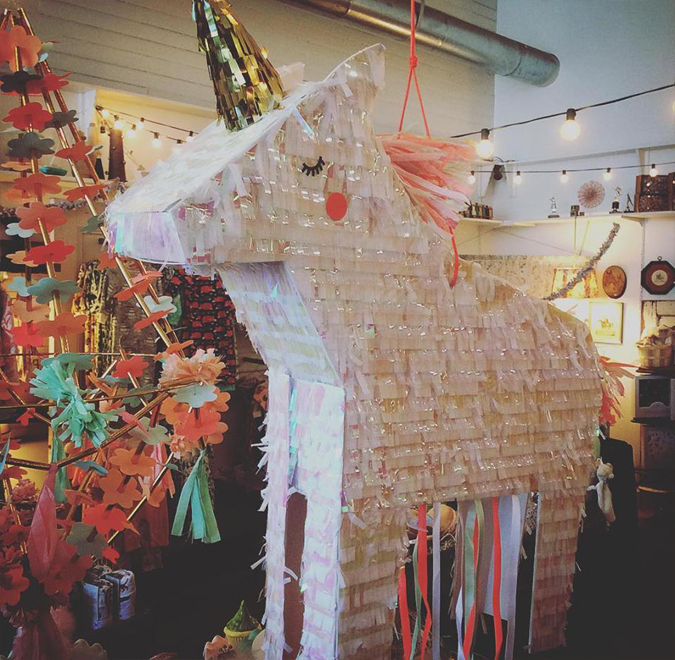 Yes, we carry unicorn piñatas!! 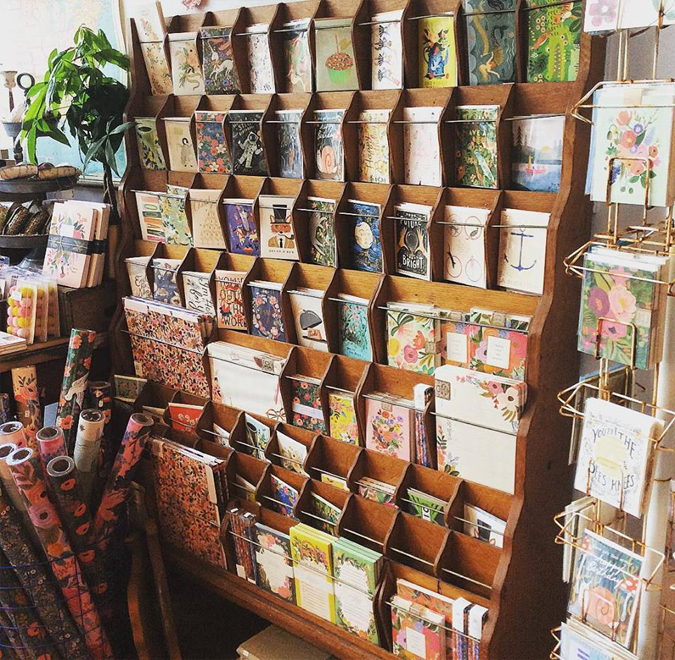 New glittered postcards are in! 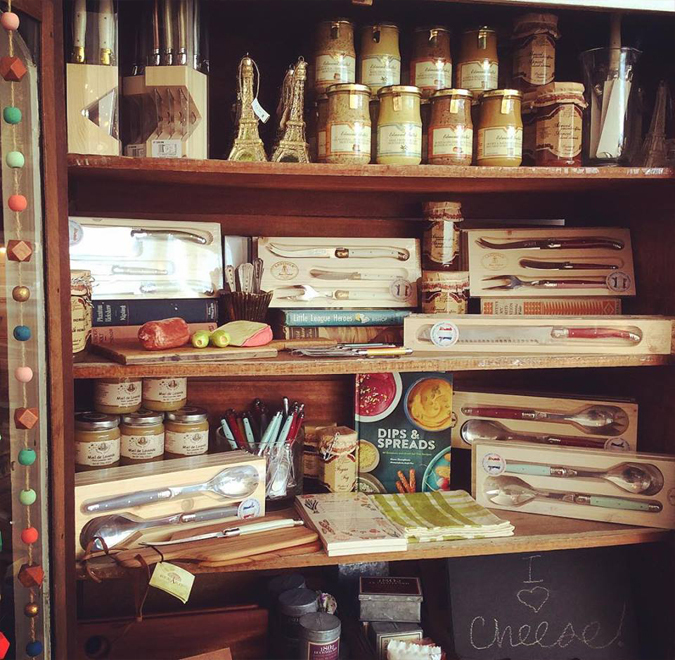 Restocked on lots of French-made products! 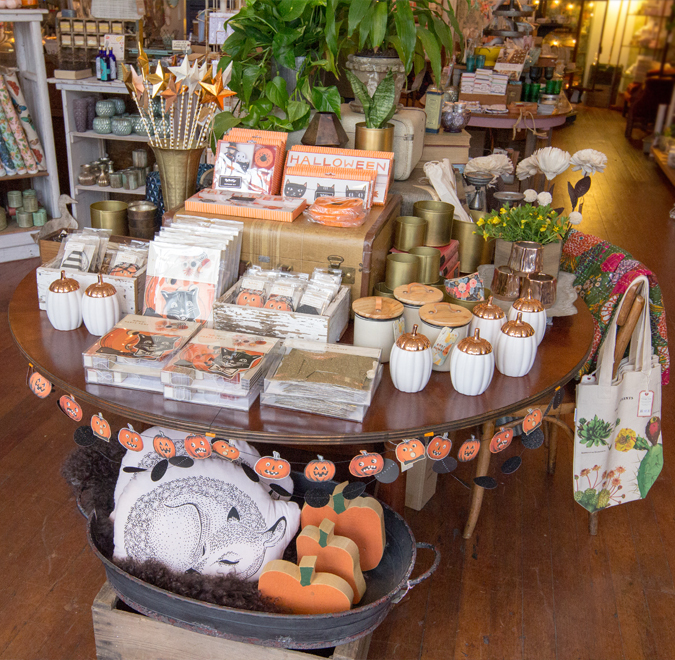 New fall goodies are Here! 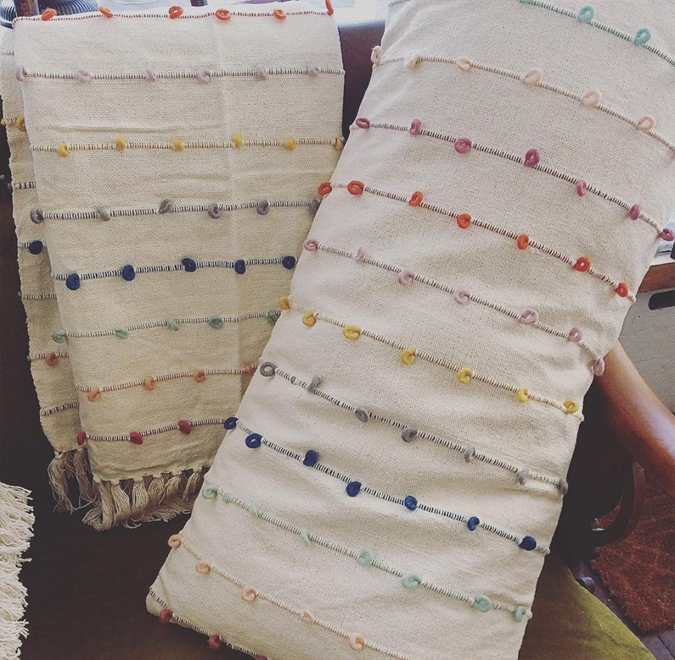 We love these new garland sets and have many more to choose from! and lots of new wrapping paper! 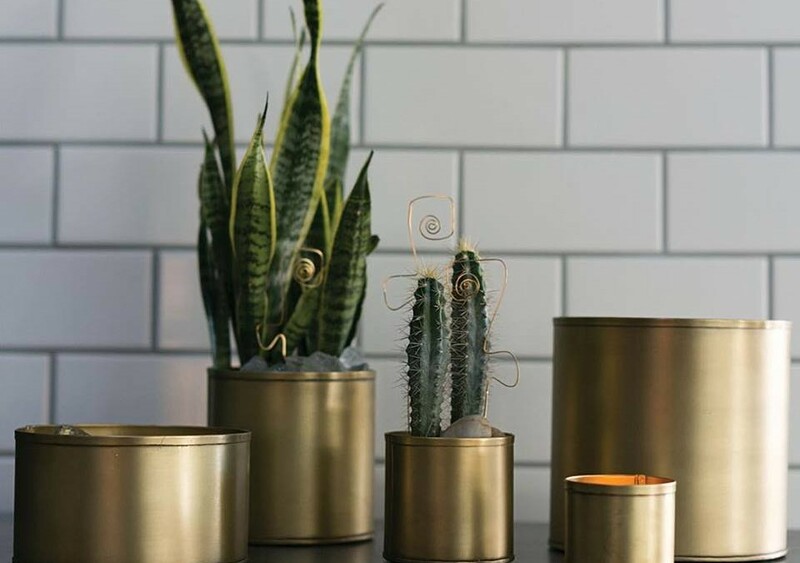 — mix and match for a lovely and useful gift. Proudly made in the USA. 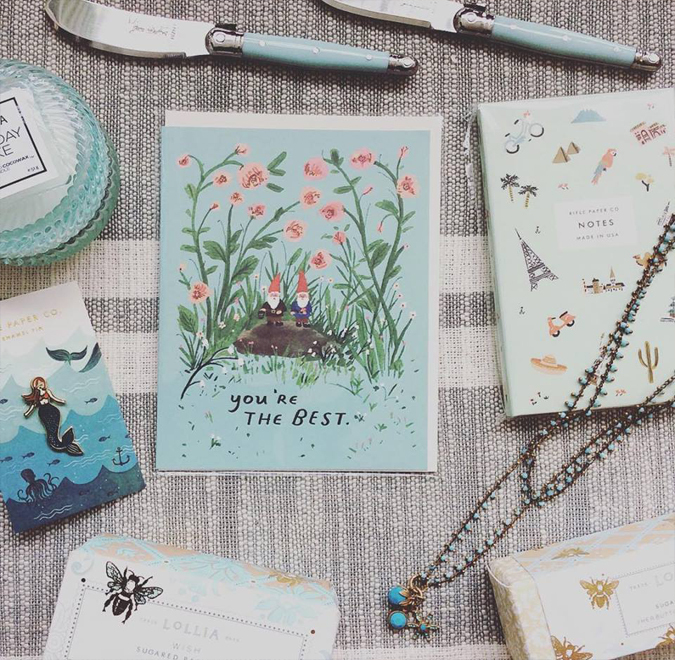 An assortment of pretty new prints from Rifle Paper Co are available! 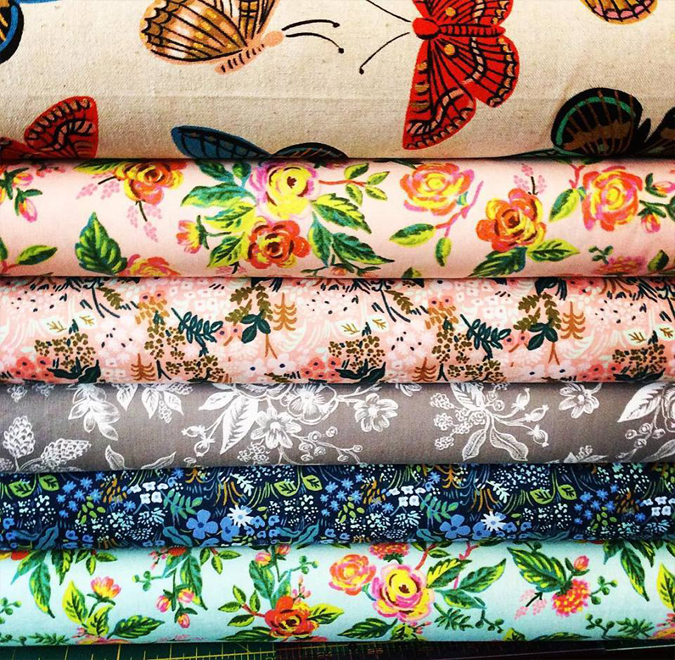 would make some fabulous curtains, IMHO. 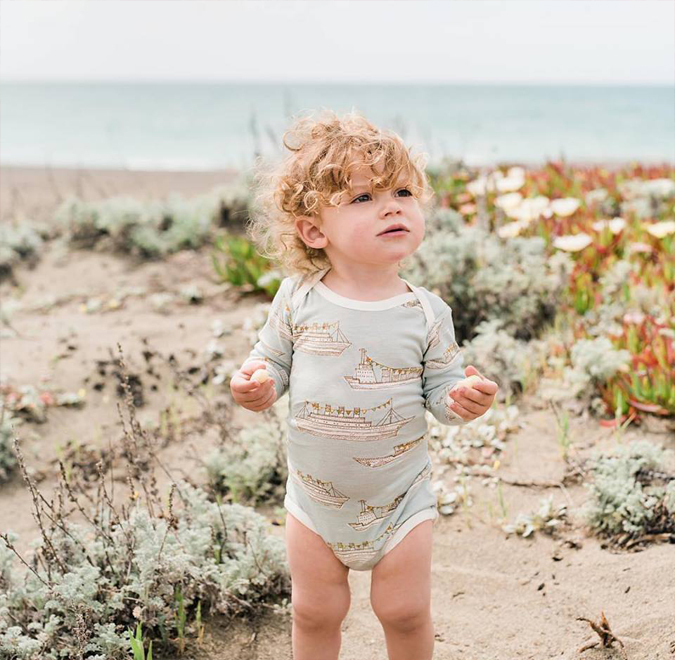 Cute new patterns and styles from Winter Water Factory are here! 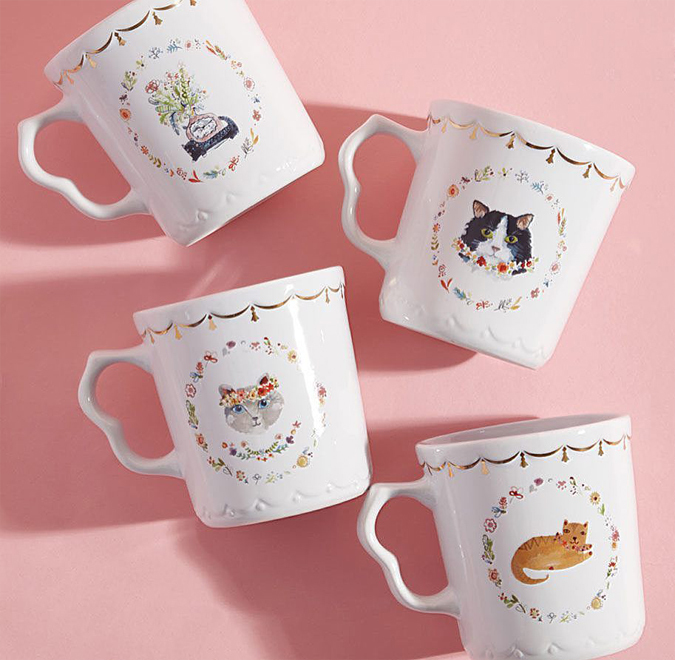 We sold out of the ceramic ones last year in a day! Come get yours before they’re gone! 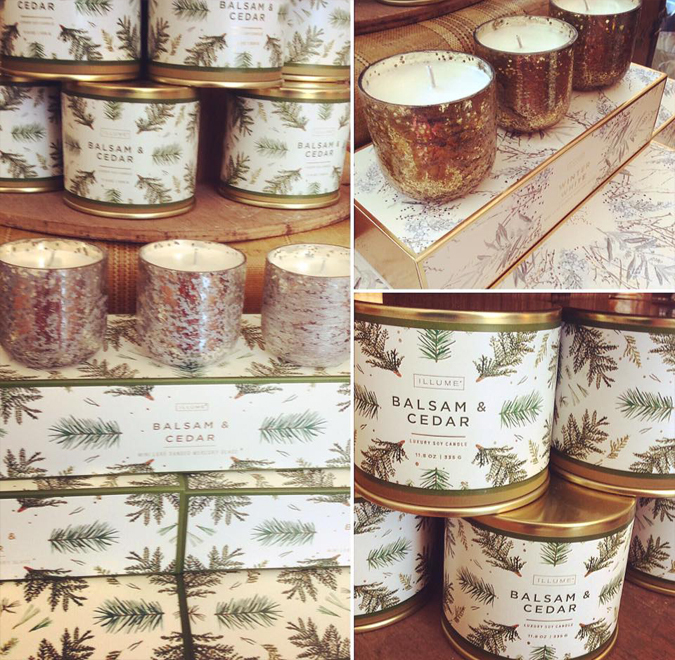 Balsam & Cedar, Winter White, and Woodfire! 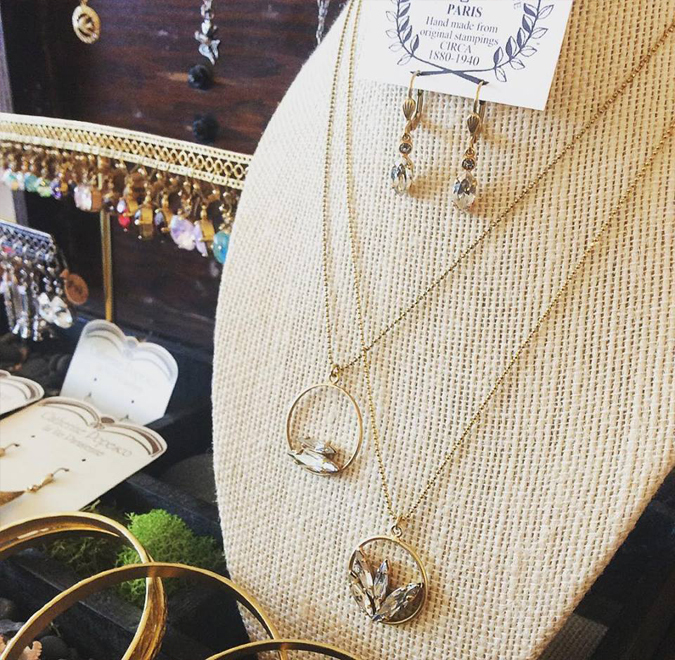 Stop by and see us tonight for First Friday! 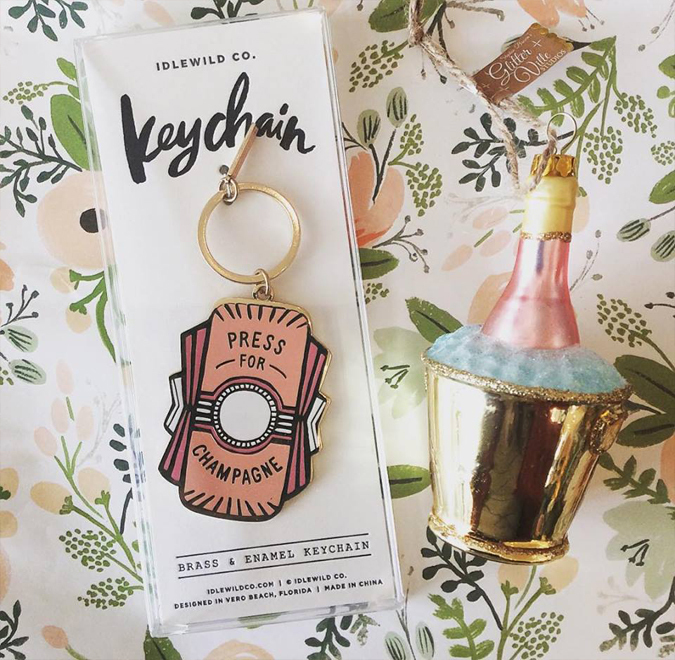 as we celebrate three years in business with bubbly and a store wide sale*! Dahlias will also be sold by our friend Jennie! 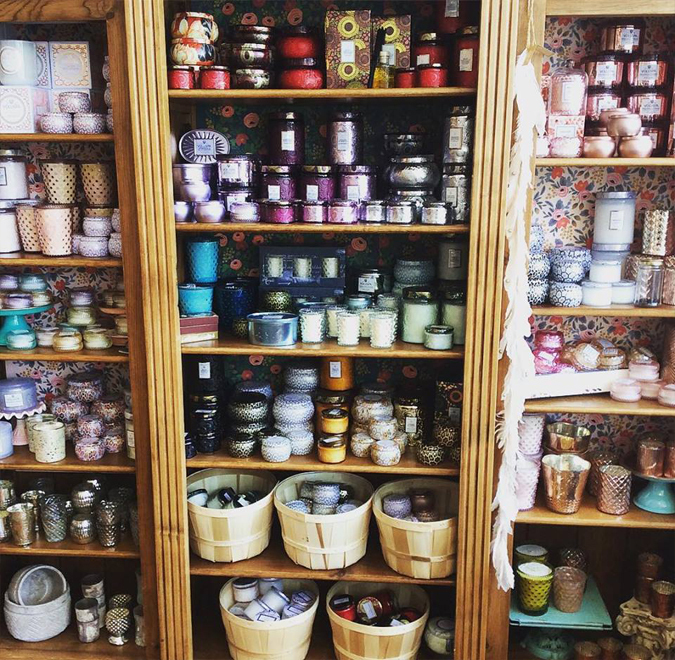 So many pretty purple vessels with just as lovely scents inside! 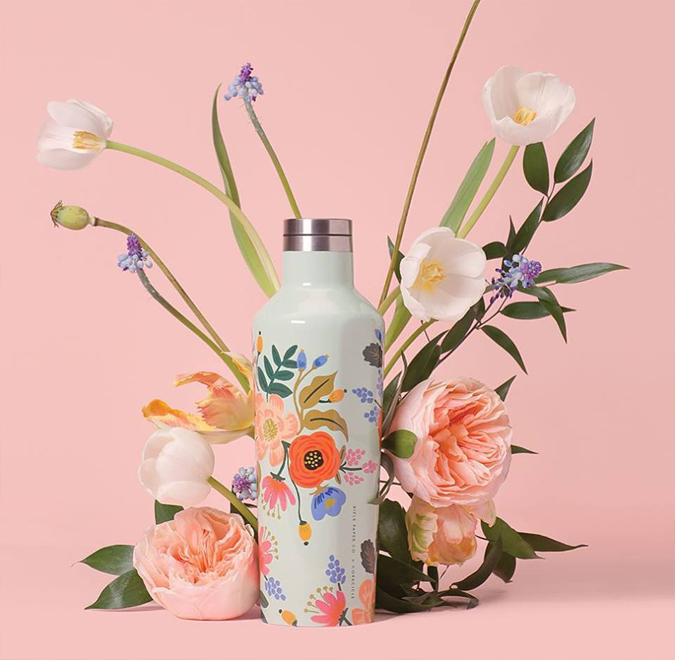 Super excited to get these Rifle Paper Co x Corkcicle canteens and tumblers! 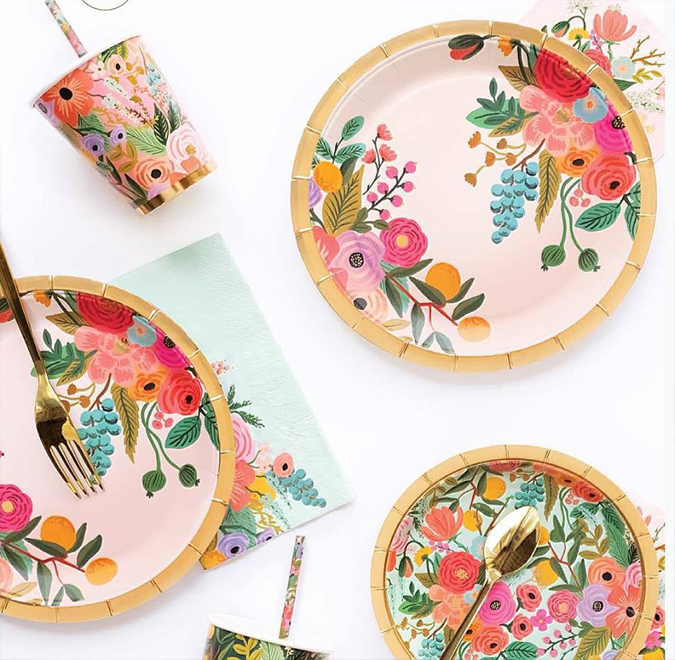 Love these new prints from Milkbarn! – we also do registries! 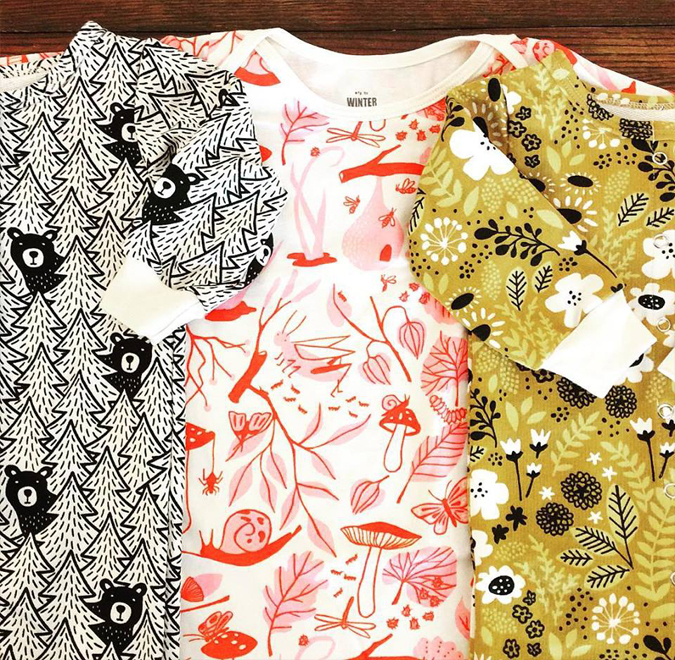 Some of our favorites are back in stock! We’ve drawn a winner for our semiannual candle drawing! And now to announce the next drawing prize! 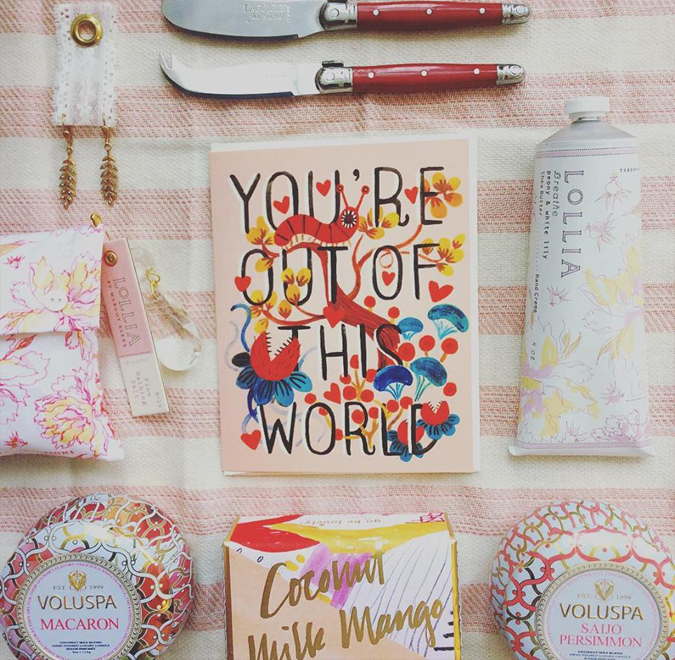 Fill up your candle card and be entered to win a free case pack of any Voluspa candle! 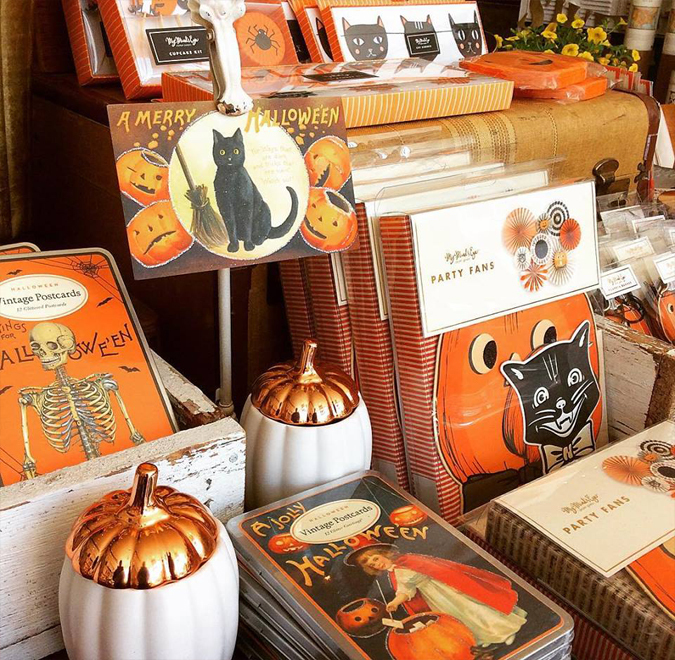 — so stock up on your favorites or get some gifts! Next drawing will be around New Years! Good luck! 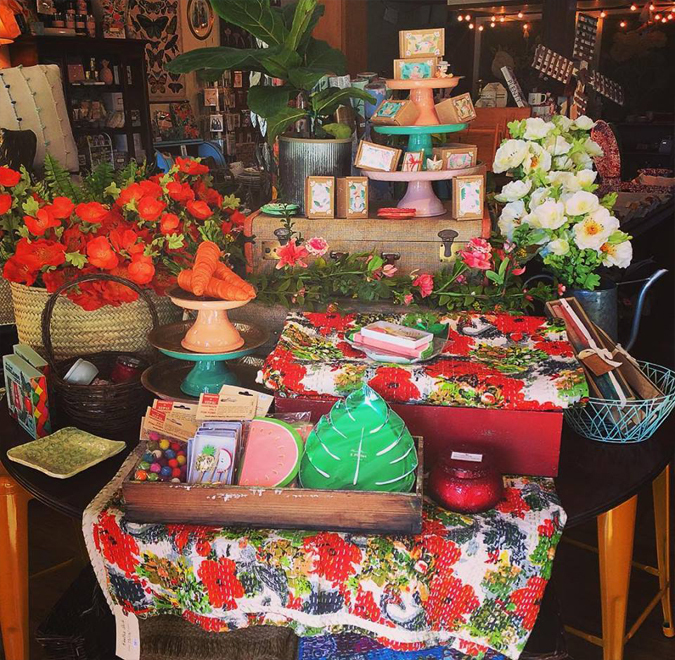 Come by tomorrow for first Friday! 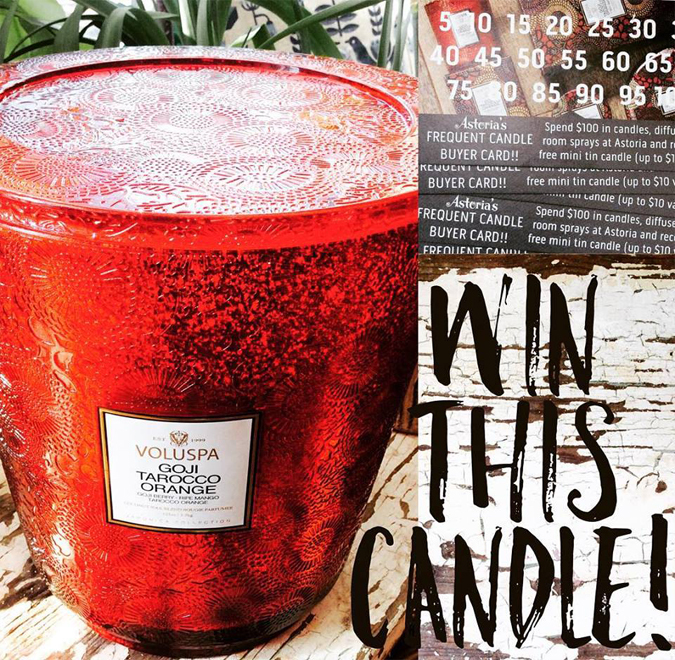 and when you fill your candle cards the chance to win our giant candle! -and we will order it special for you! 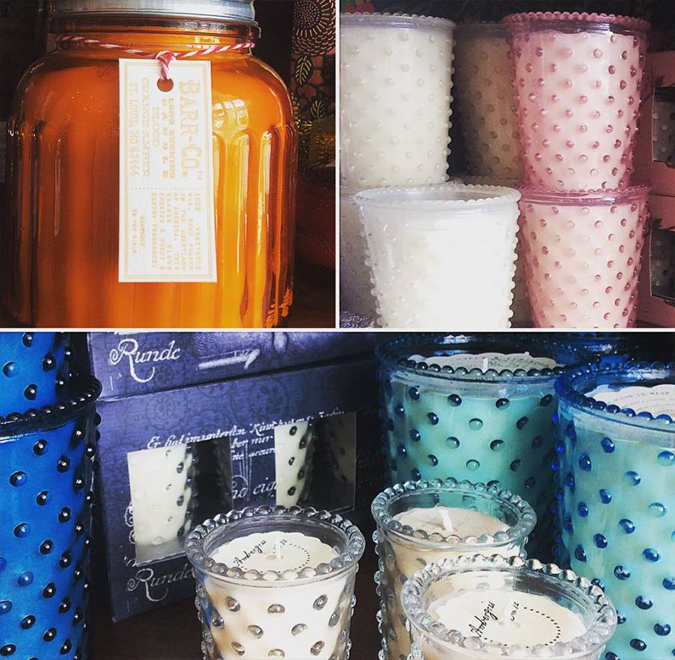 The next drawing will be in 6 months and feature a new fabulous candle prize! 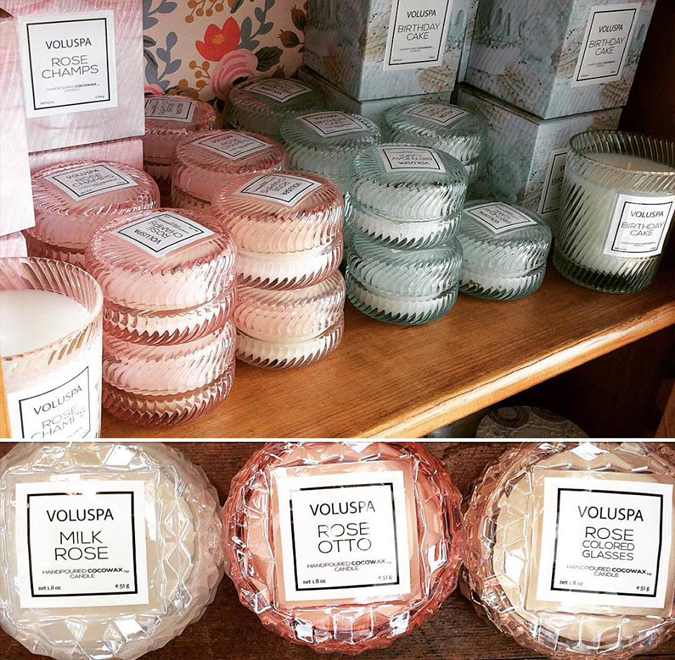 New scents and sizes from Voluspa! 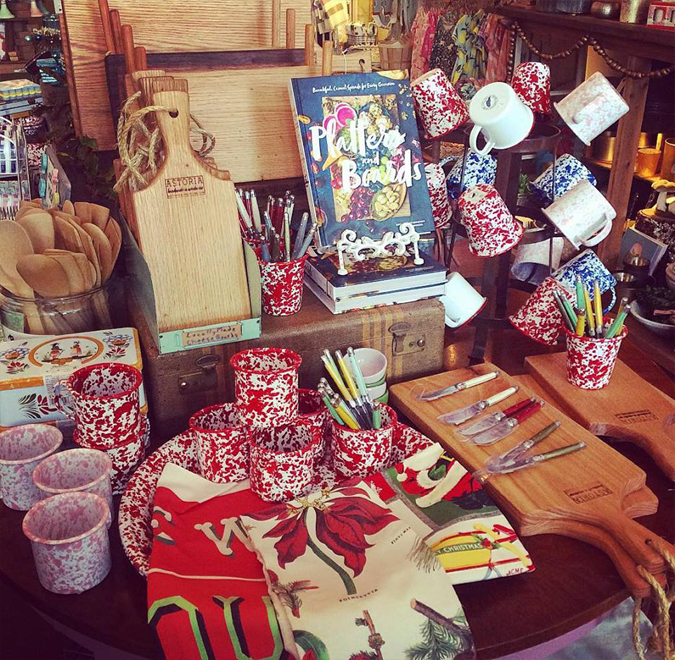 We have lots of cute teacher gifts under $25! Father’s Day is next Sunday!! 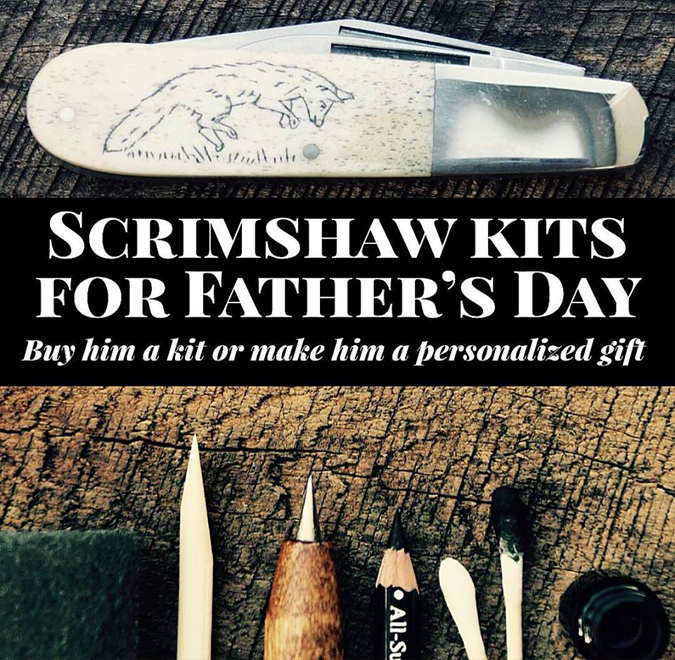 as well as a few other goodies that are great for dad! 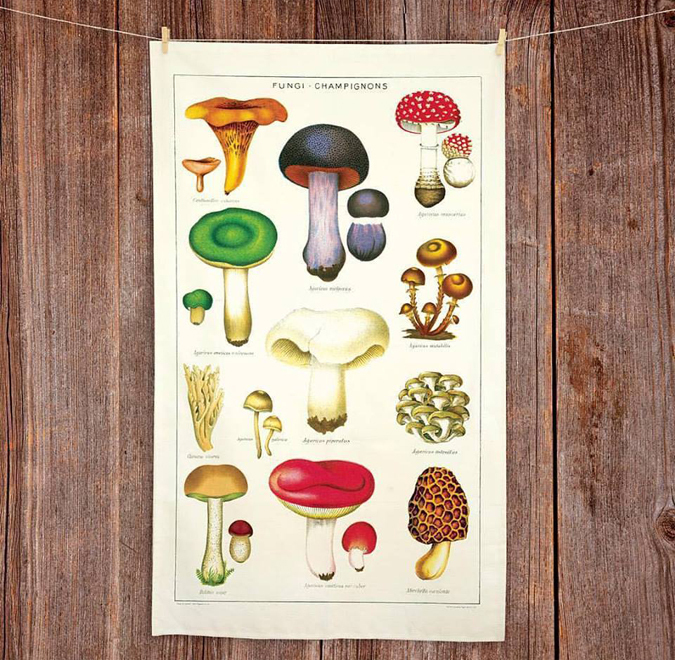 Just got these beautiful tea towels in! 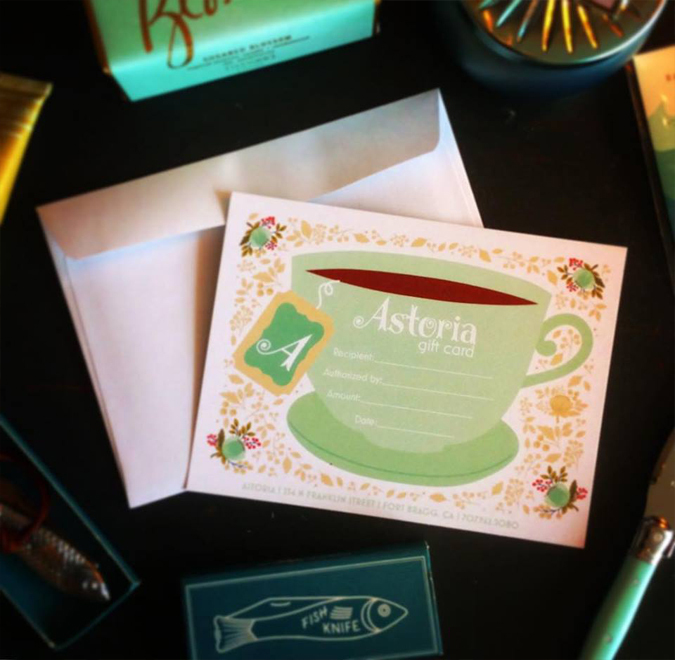 — makes such a lovely teacher or housewarming gift! The cutest little baby squeakers and rattles! Some new merchandise has arrived! 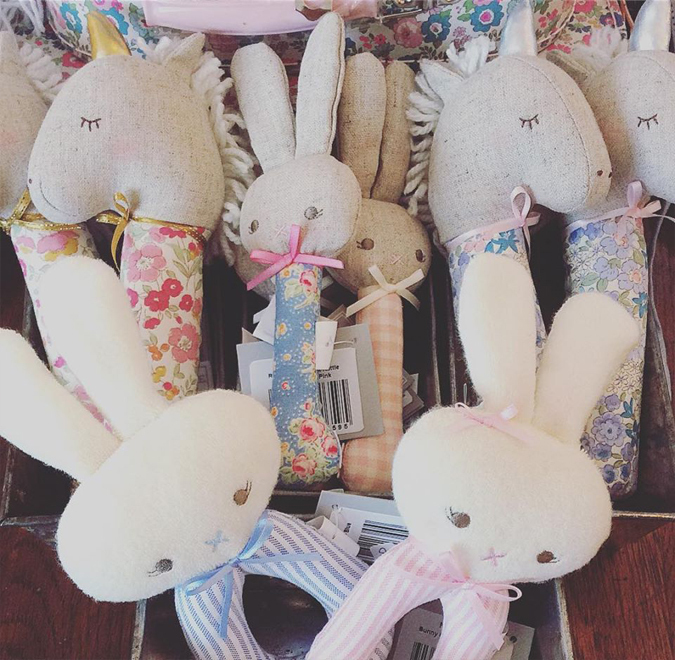 …And we now have new friends in the shop! 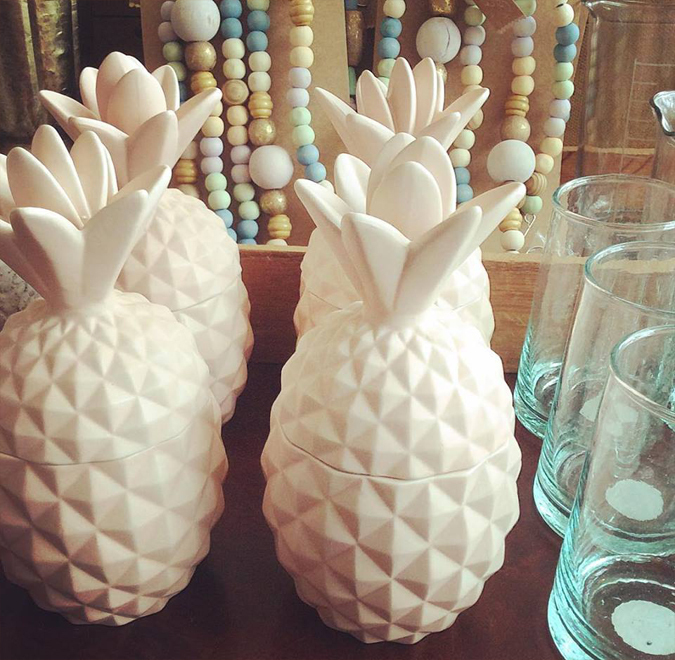 Aww, we found the cutest lil’ pineapple candles! – absorbs quickly and feels lovely on dry hands! 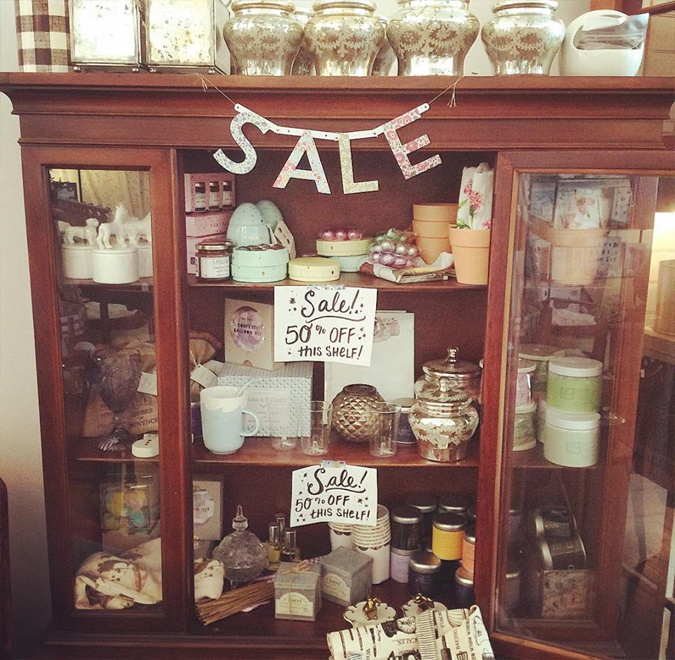 Sale shelf is FULL and everything is now 50% off!!! that you think they’re the best! 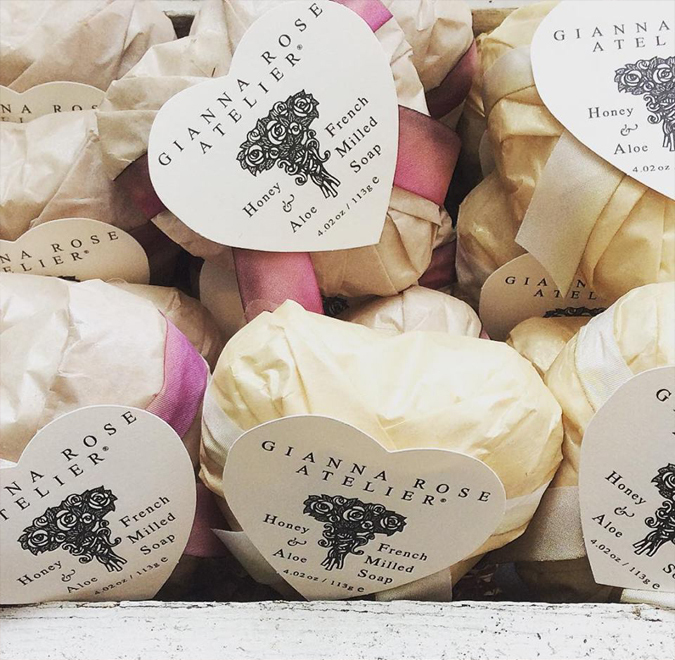 We now carry Gianna Rose products! 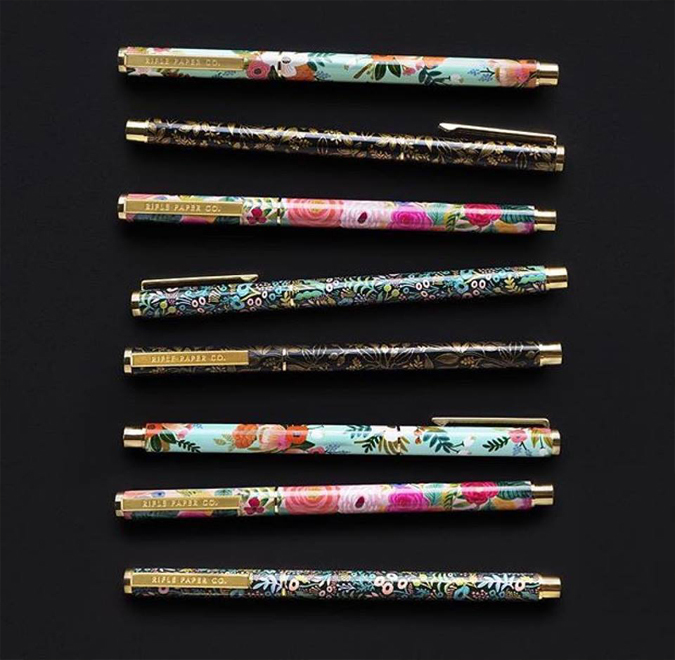 They make great gifts – especially for Mother’s Day! 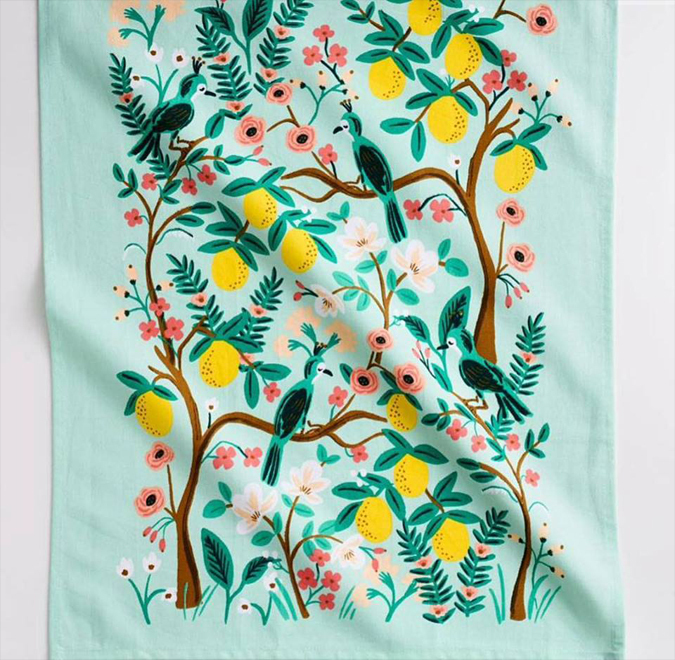 tea towels, and pot holders! 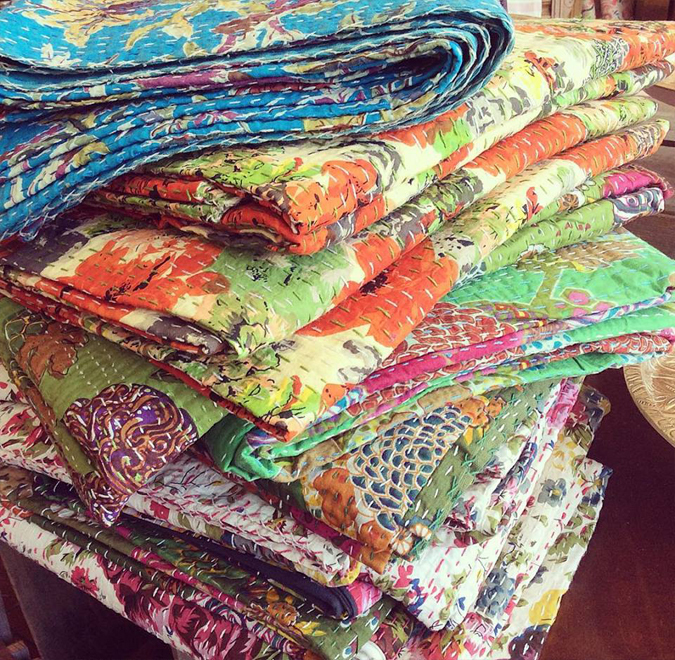 So many colorful lightweight quilts!!! We even got some pillows and king sized ones! Makin’ stuff is what keeps us going!! 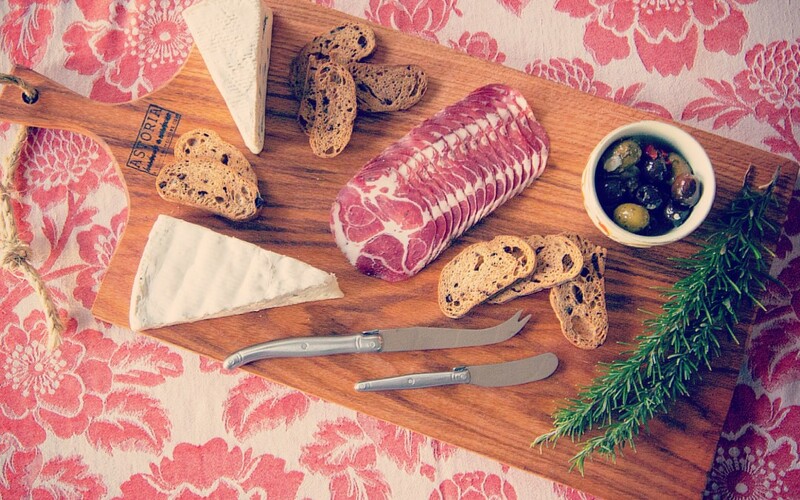 New Charcuterie Cheese Boards / Serving Platters and new ceramic items -More projects on the way! We’ll also stock more sizes soon!! Because who doesn’t need 1 liter of the best smelling bubble bath ever? 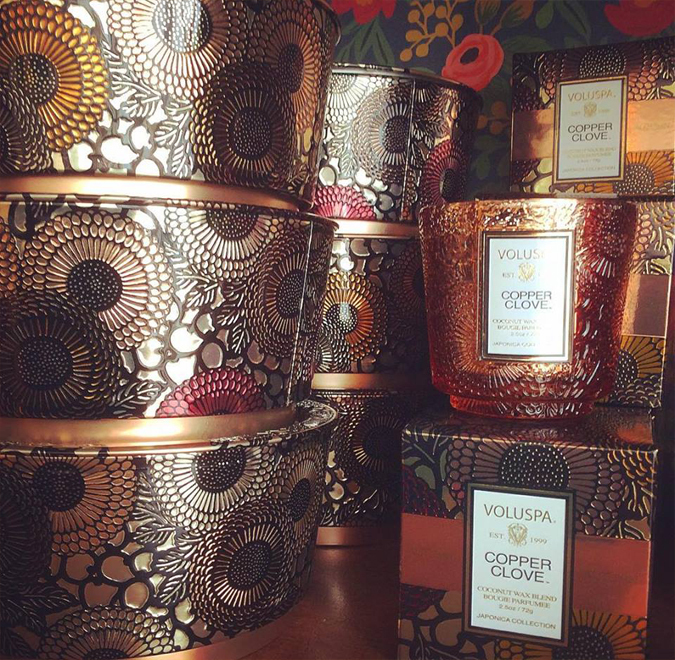 Announcing our giveaway for our two new collections from Voluspa! 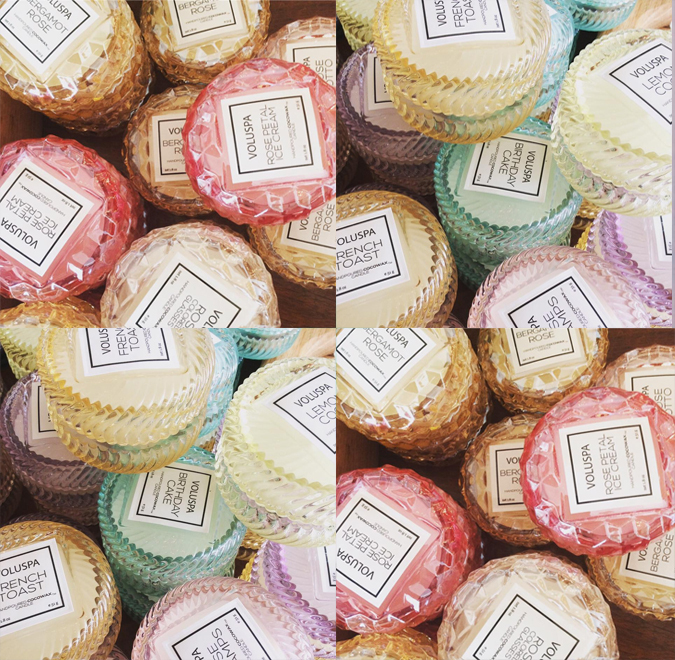 but you can vote on which you think it will be and enter for a chance to win one of these fun new macaron shaped candles! 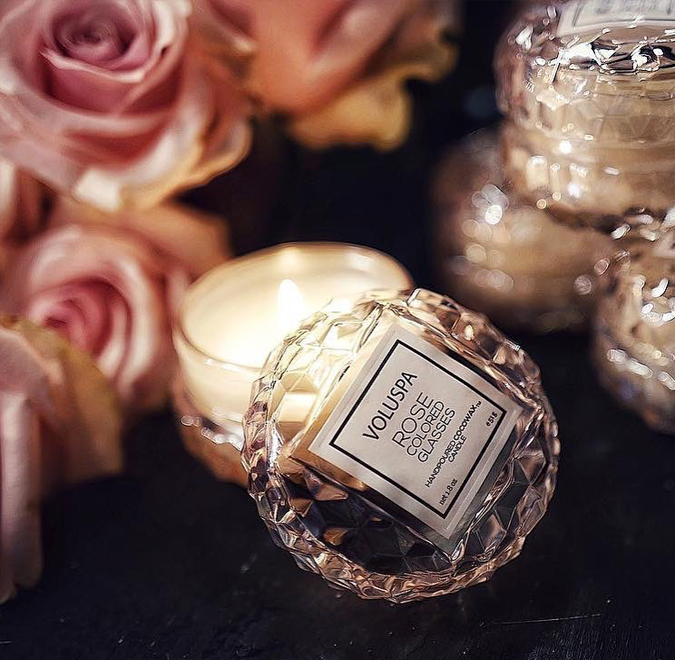 you are entered to win a new macaron candle! There will be 6 winners! See you soon! — so stay tuned for more details! Just for the weekend! All whale 🐳 products are 25%. 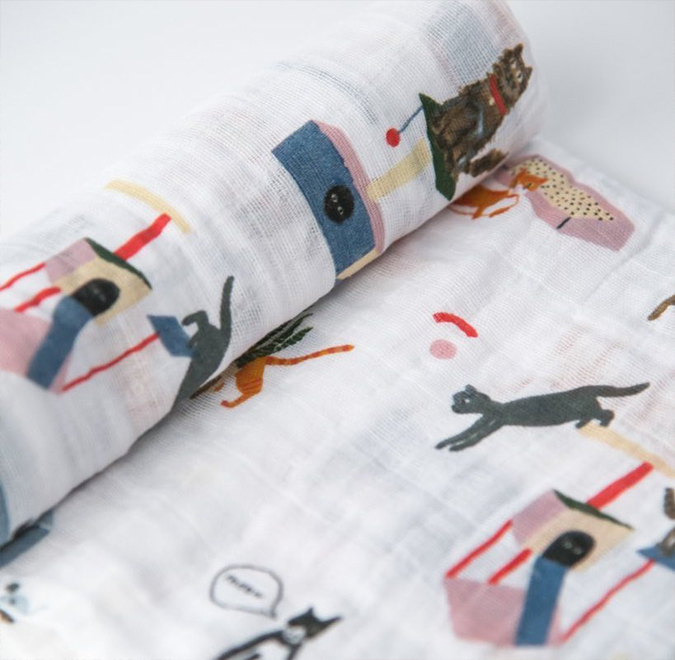 We have the cutest new baby swaddles and reversible quilts! 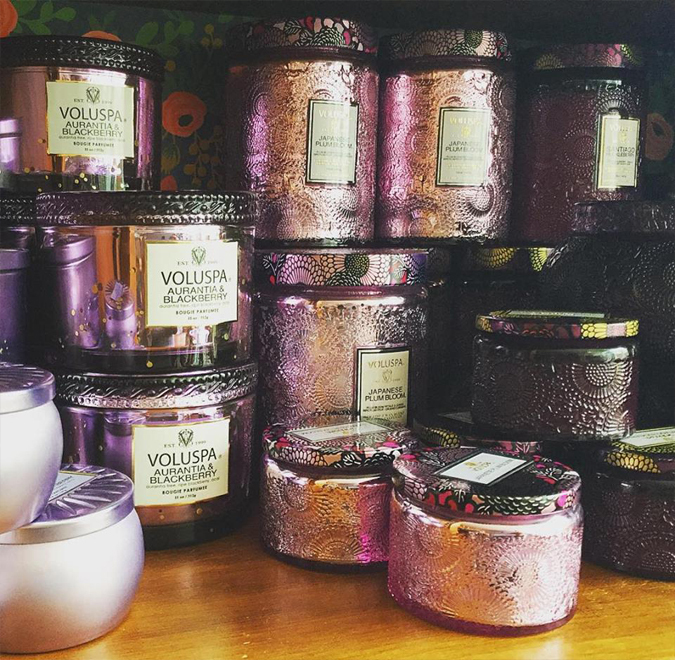 New shipment of Voluspa Candles has Arrived !!! 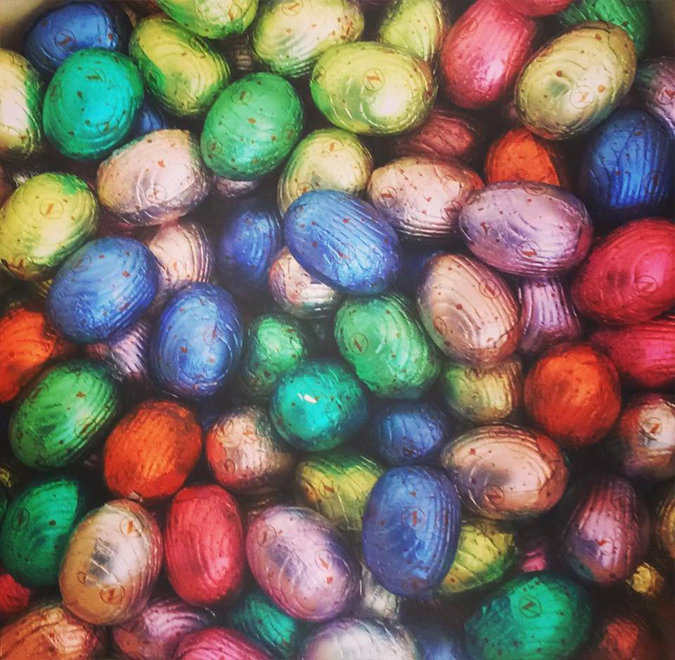 of Belgium-made chocolate eggs for your Easter baskets this year! 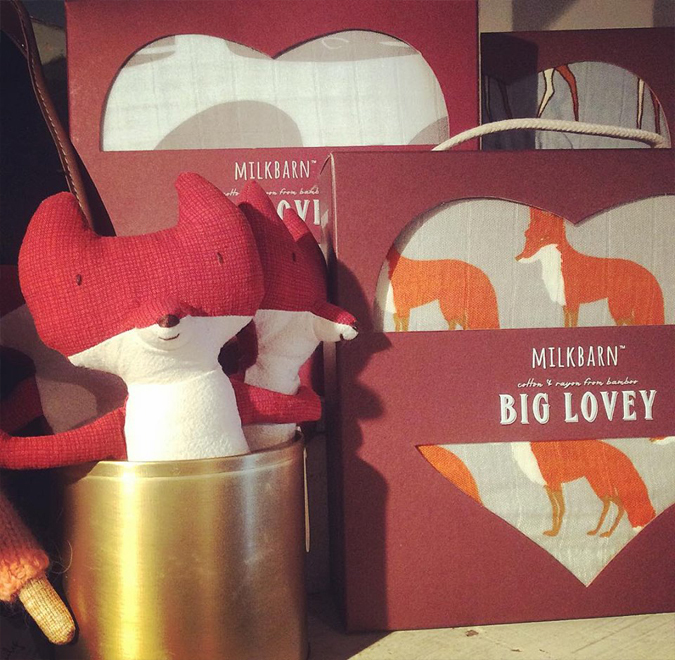 Sold individually or in gift boxes and ready to delight! 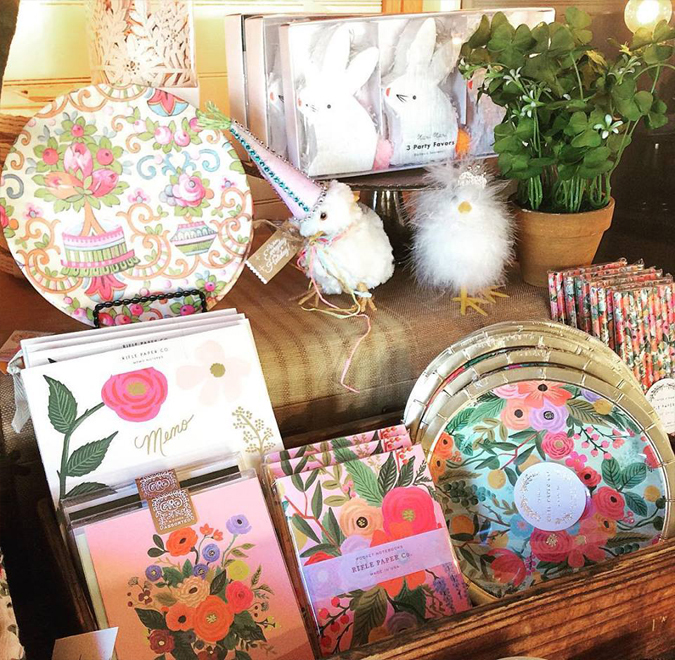 So many cute new spring things! 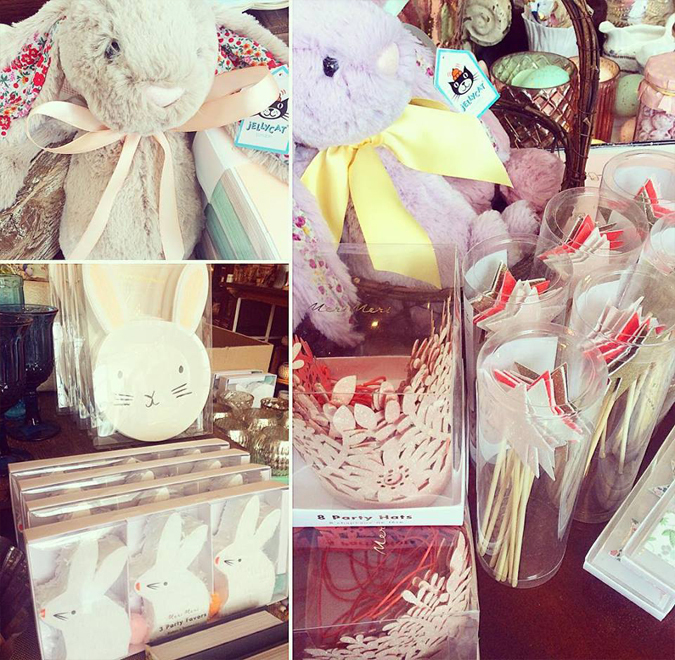 We just got these adorable bunny plates and piñata favors! 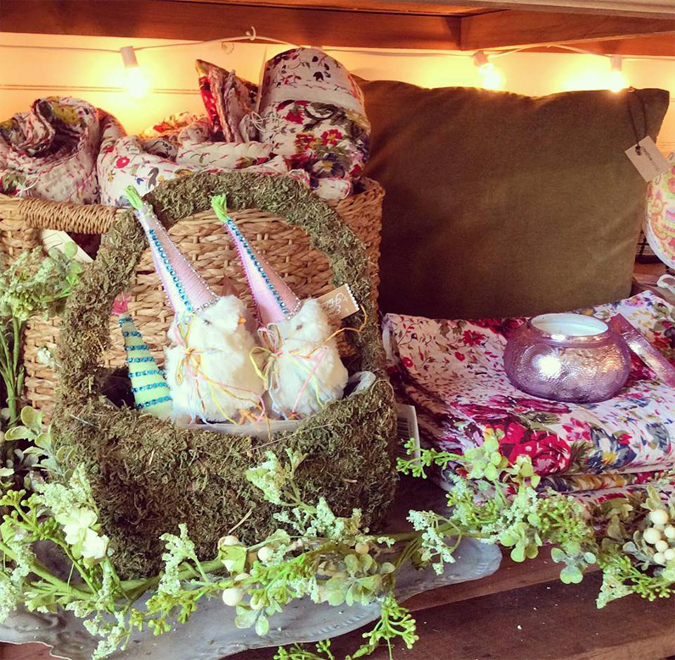 Rolling out some deluxe pre-made gift boxes for Easter! we’re always happy to help put something special together! Announcing this year’s candle card drawing! 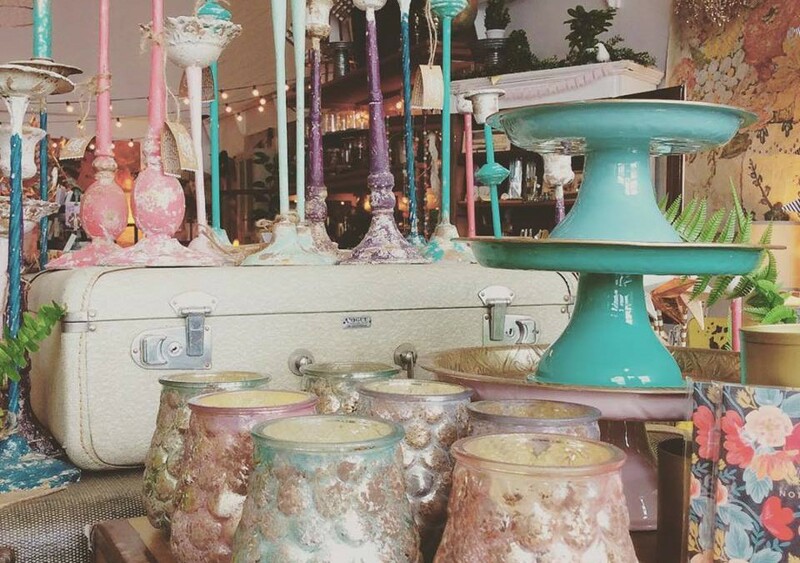 Last year we gave out over 60 free candles for those of you who completed the punch card. ($198 value) for every card you complete! Yay!!! 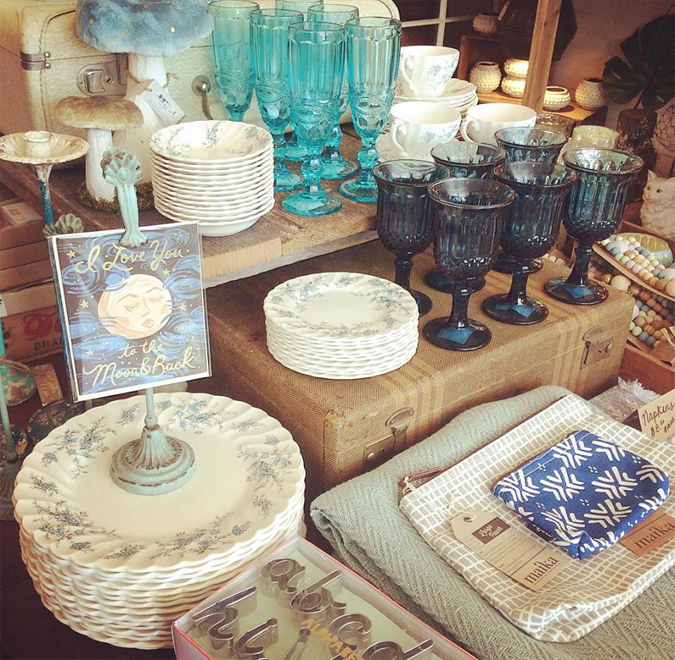 Lots of adorable new goodies from Winter Water Factory in a rainbow of spring colors! 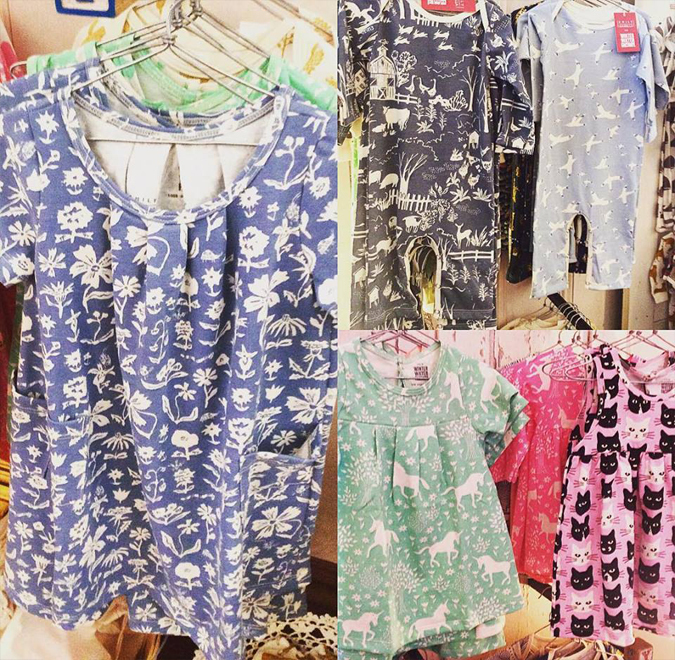 We even have a handful of girls dresses in sizes up to 4T! 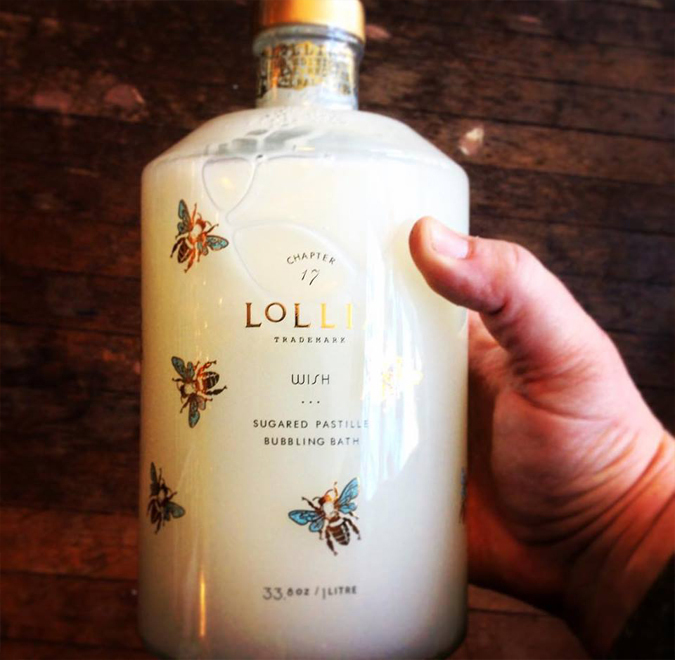 Luxurious bath products in intoxicating scents! 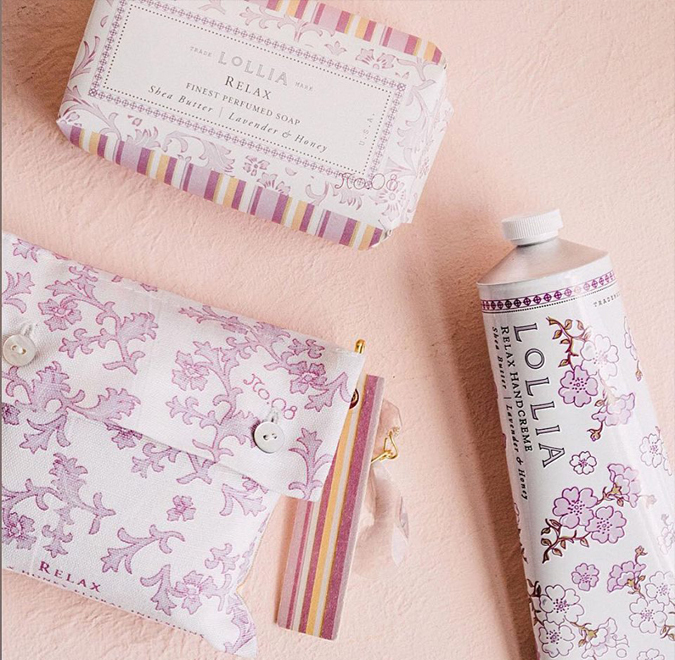 Receive free lotion samples with every Lollia purchase while supplies last! 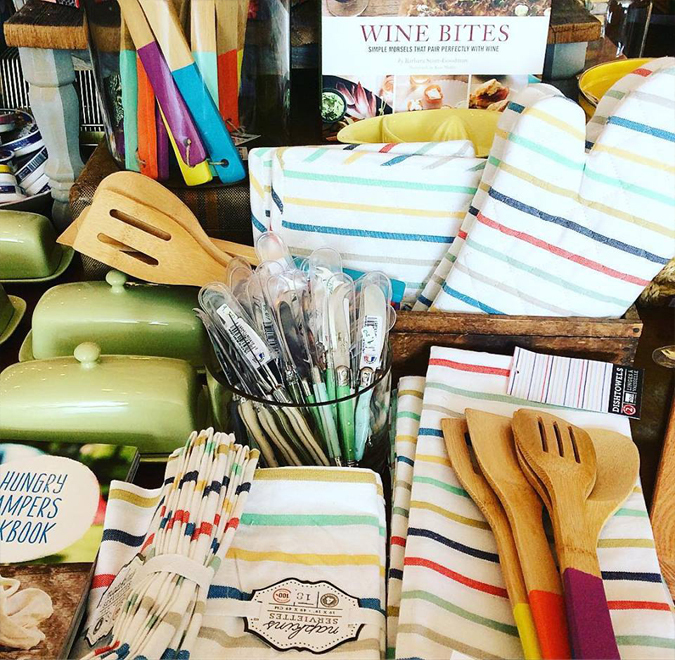 We’ve just received a shipment of great cookbooks and other kitchen related items! 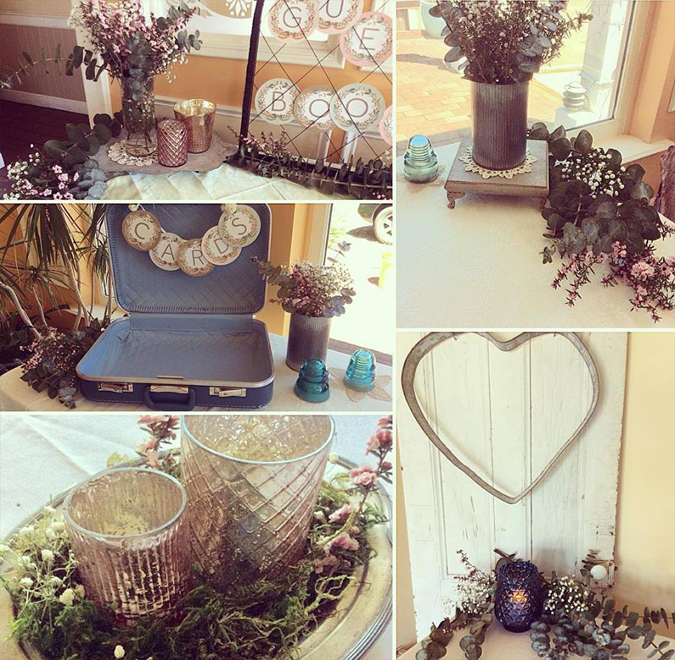 In Mendocino County and Need Party Supplies or Event Decor? 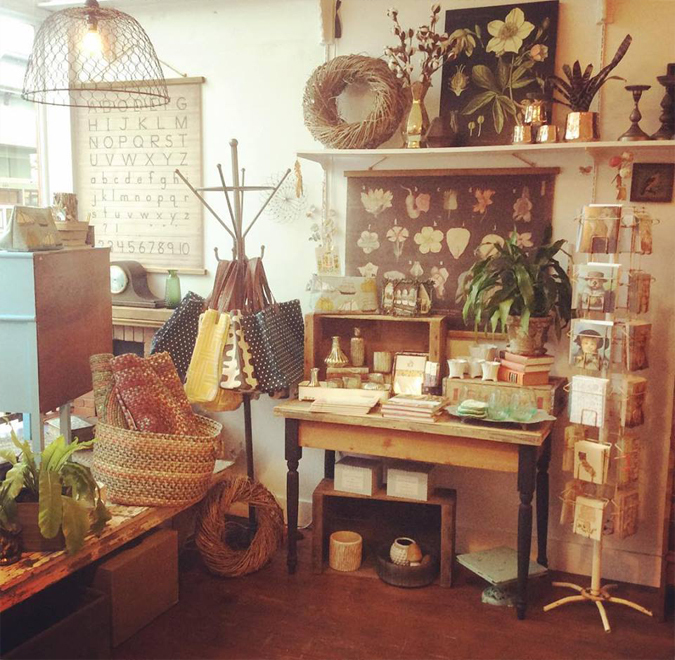 Come on by our shop or contact us via phone or email! it’s starting to come back together! (many of which we’re still unpacking) so stop on by! More goodies on their way! Super excited to finally pick up this fabulous line! 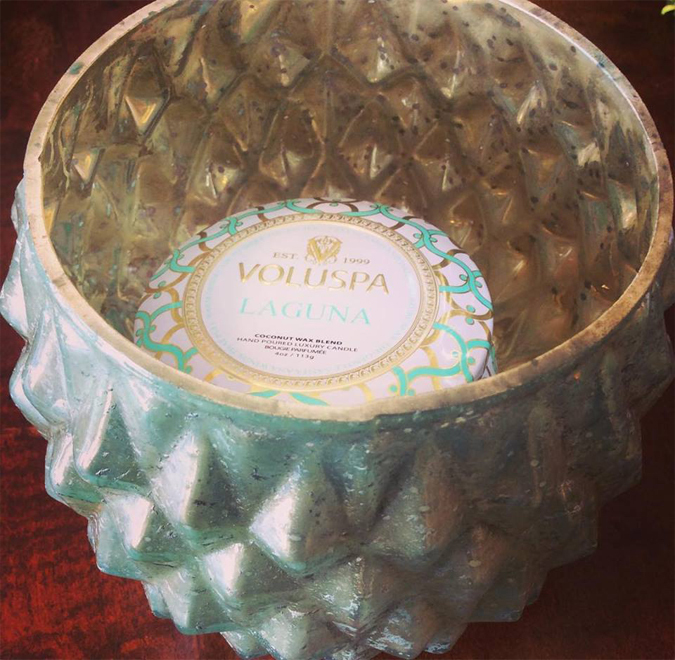 switch out larger votive holders with all our favorite scents from Voluspa. More new products on their way!!! Including this ridiculously cute little kitty doll! 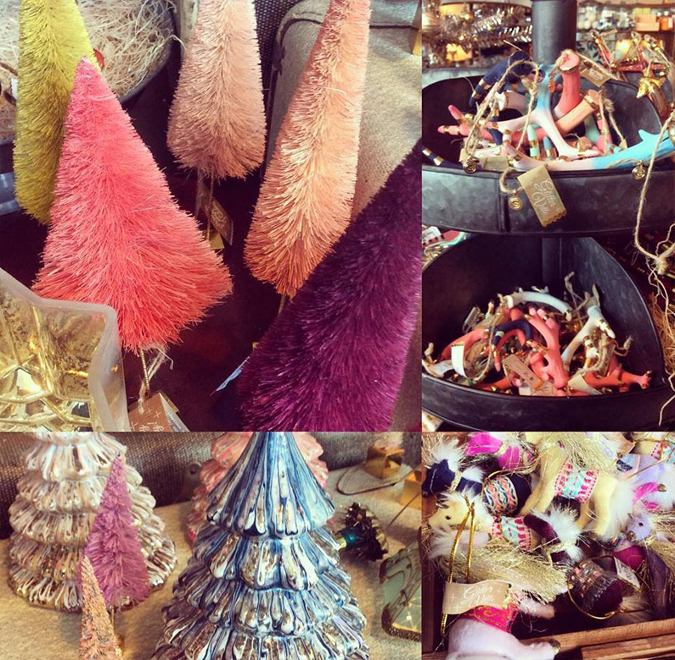 all Christmas related items and end of the year clearance!! 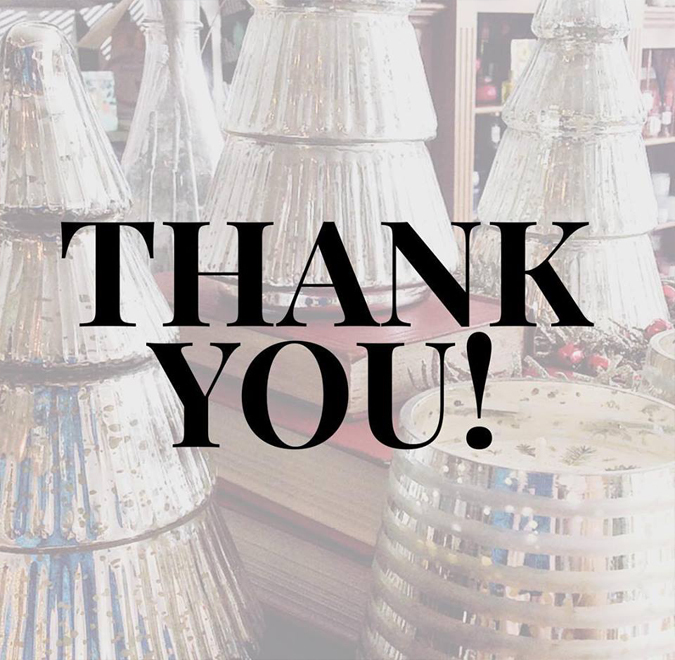 Thank you for your continued support of us and our shop! We couldn’t do it without our wonderful community and customers! Snag ’em while we still got ’em! 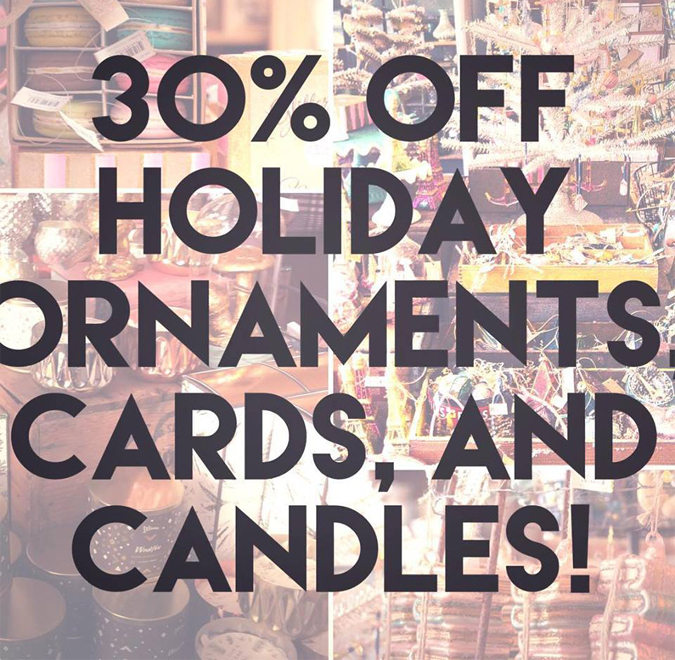 All holiday ornaments, candles, and cards are 30% off! 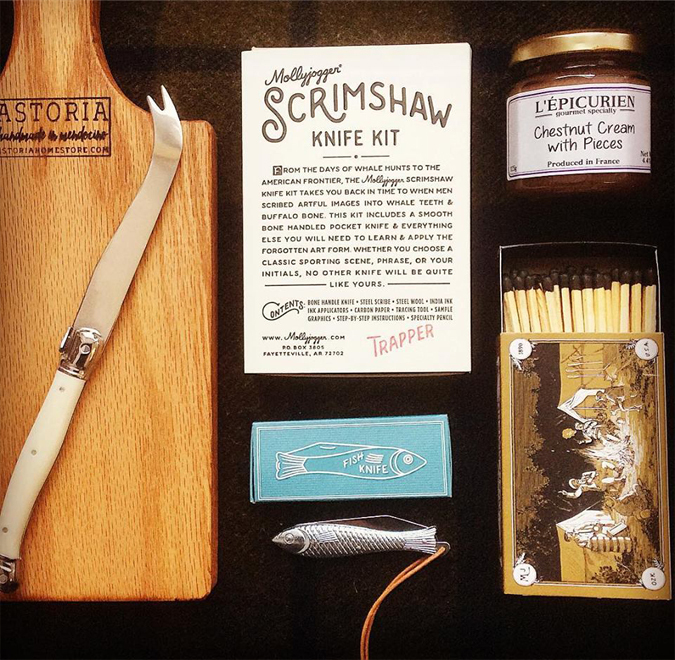 and the fish knife, of course! We have gift cards available in any denomination! 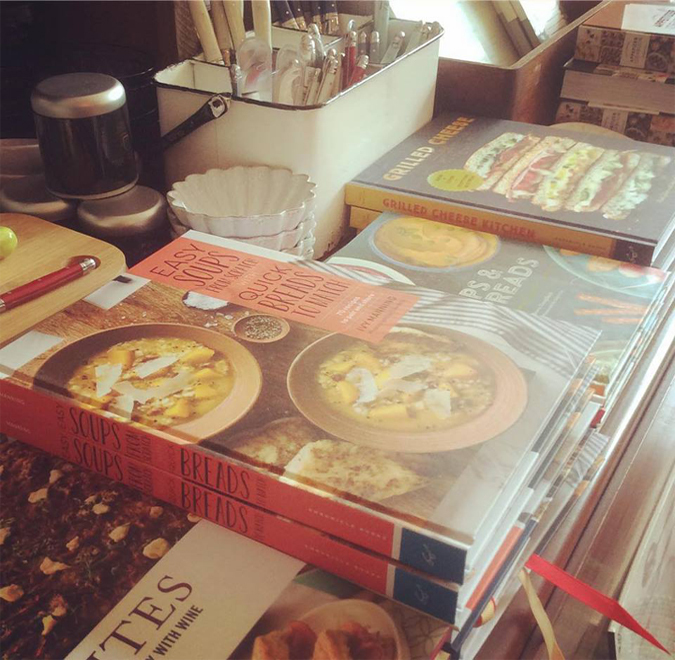 Just got a shipment of cookbooks! 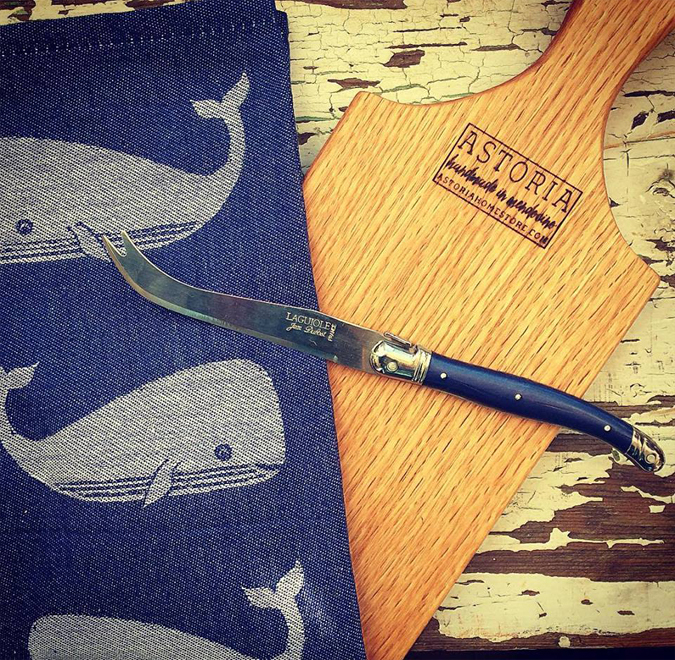 Pair with our new cutting boards and Laguiole knives for a great gift! 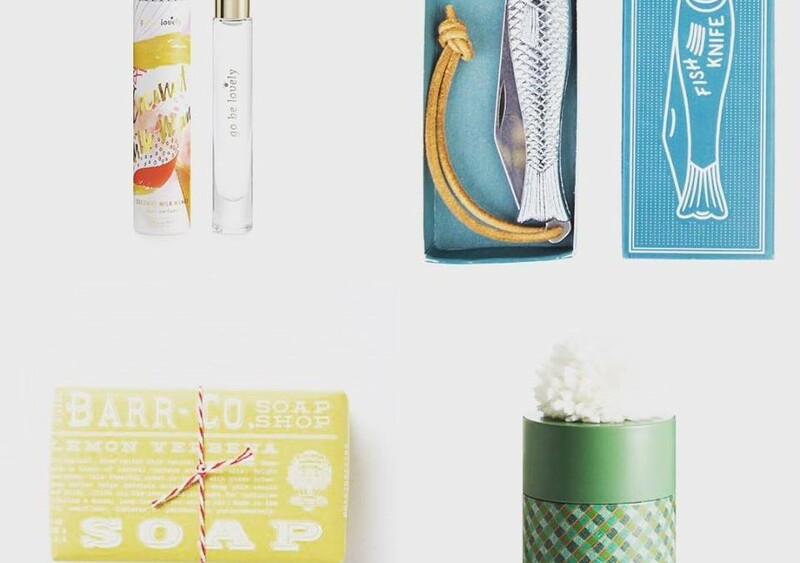 We have some great, useful gifts for that person who’s really hard to buy for! Locally Made Serving Platters are Here! 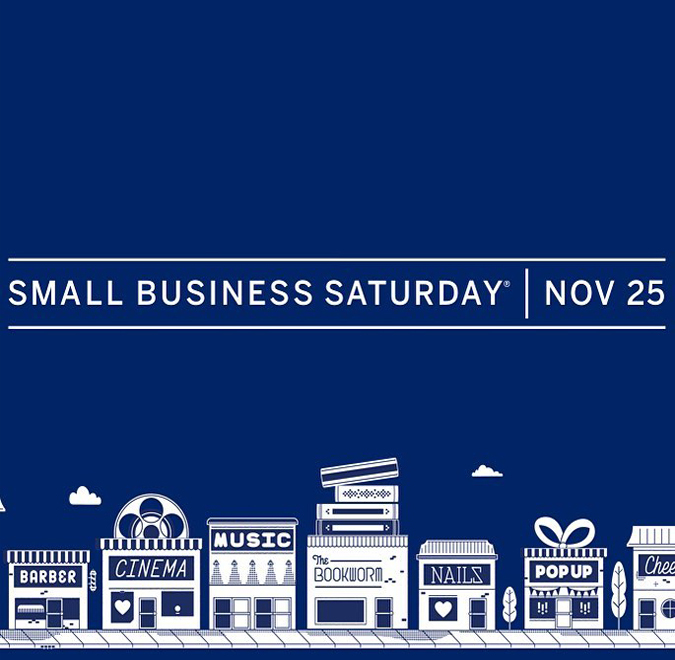 Support your local businesses this Saturday by shopping small! in addition to free canvas shopping bags for the first five customers! 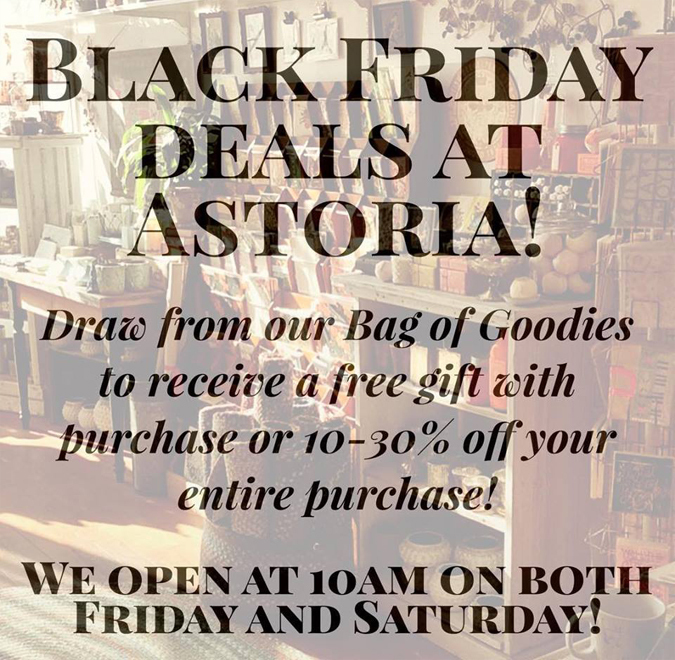 Stop by for some Black Friday fun at Astoria tomorrow! 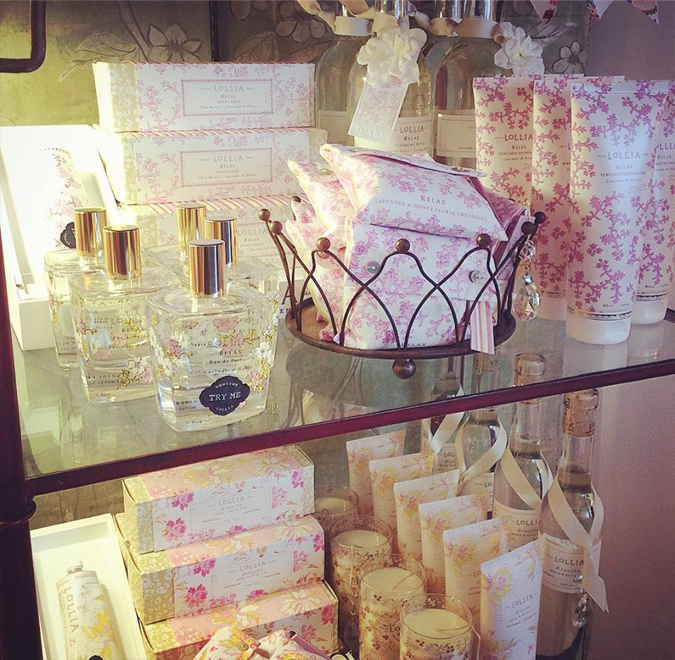 where you can either receive a free gift with purchase or up to 30% off! 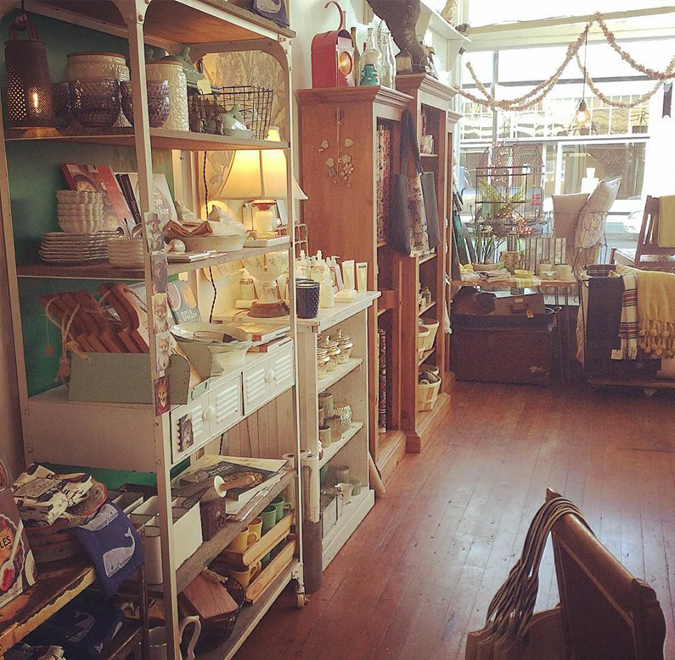 We’ll also be open at 10AM! 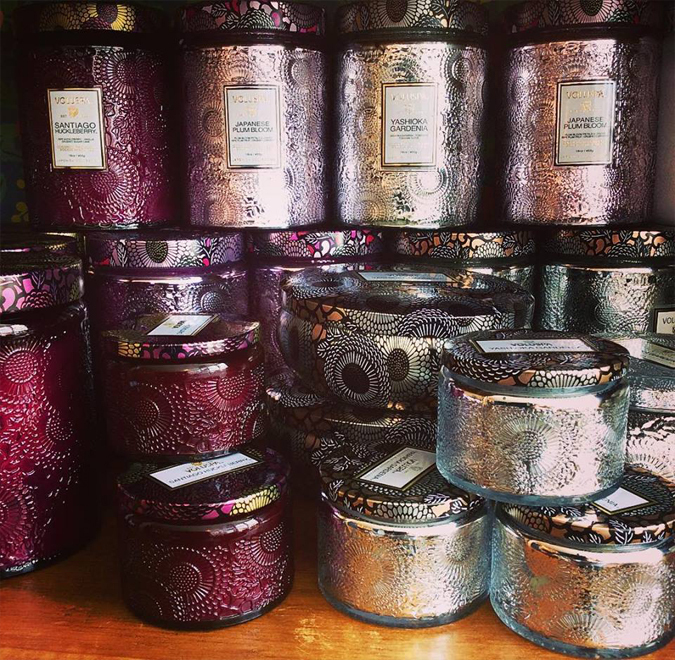 All the holiday candles are BACK IN STOCK! Come and get ’em while they’re still here! 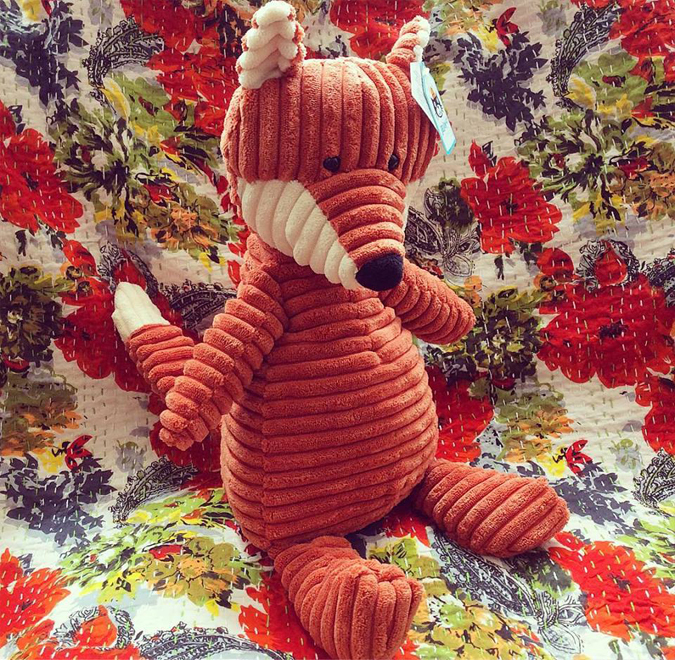 We especially only have a limited number of Woodfire ones! 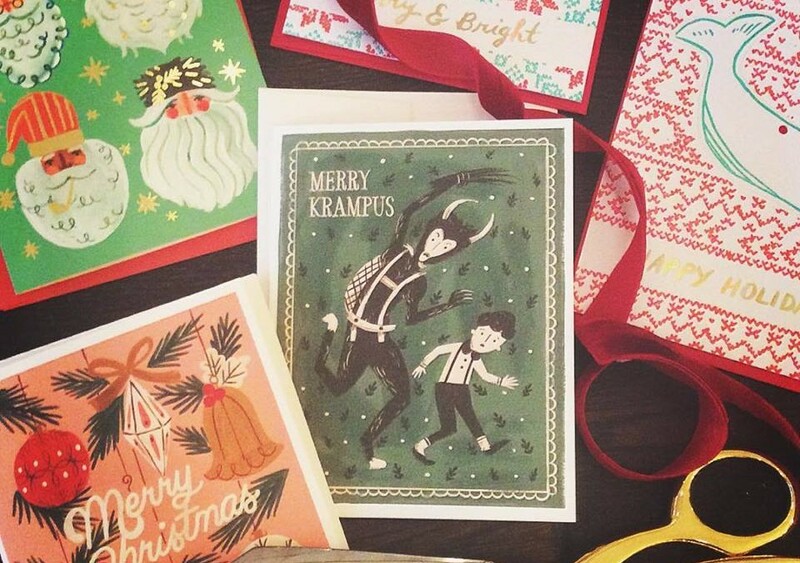 Some of our favorite new Christmas cards! 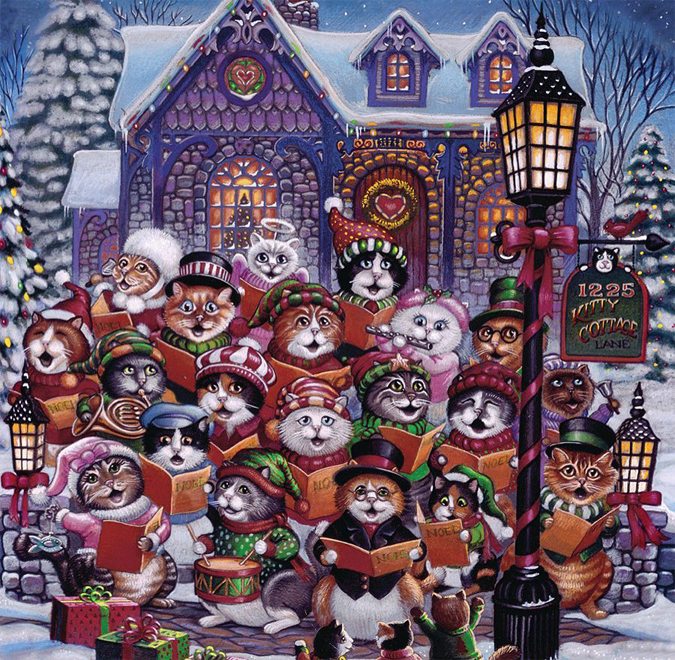 how about one combining Christmas and cats??? 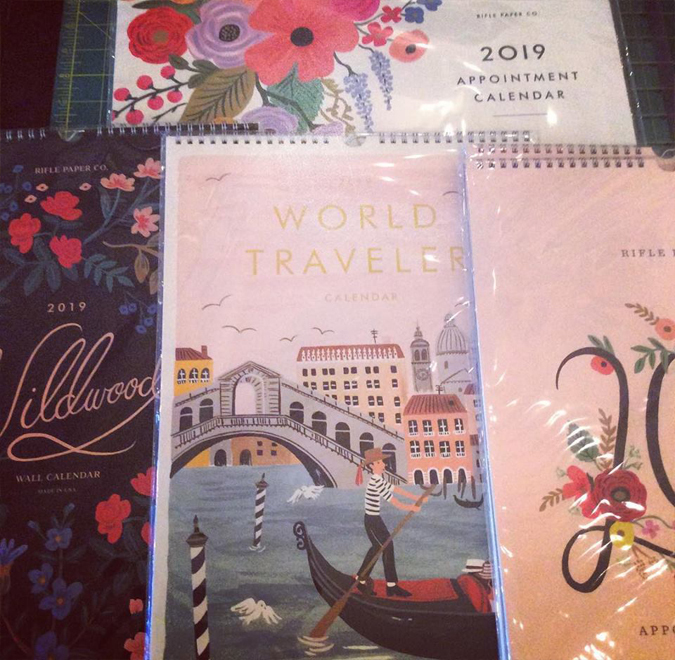 We just got these and advent calendars at Astoria!! 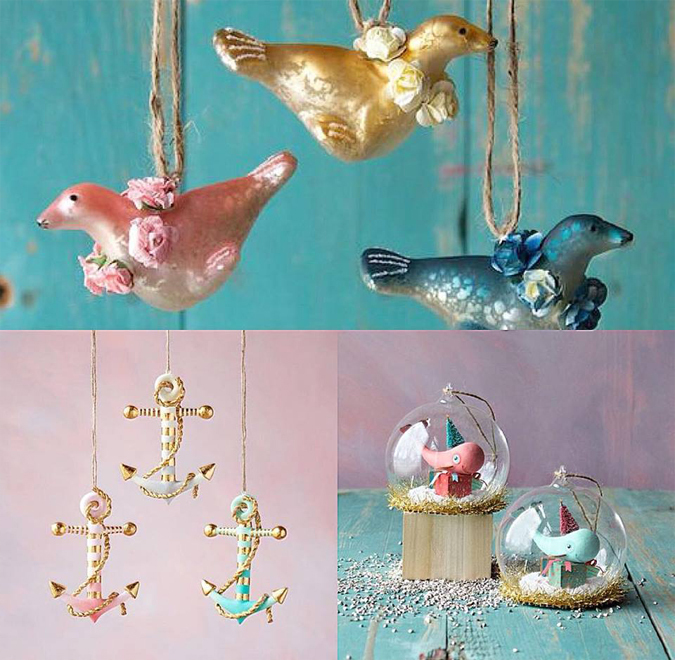 New nautical-themed ornaments in the shop!!! 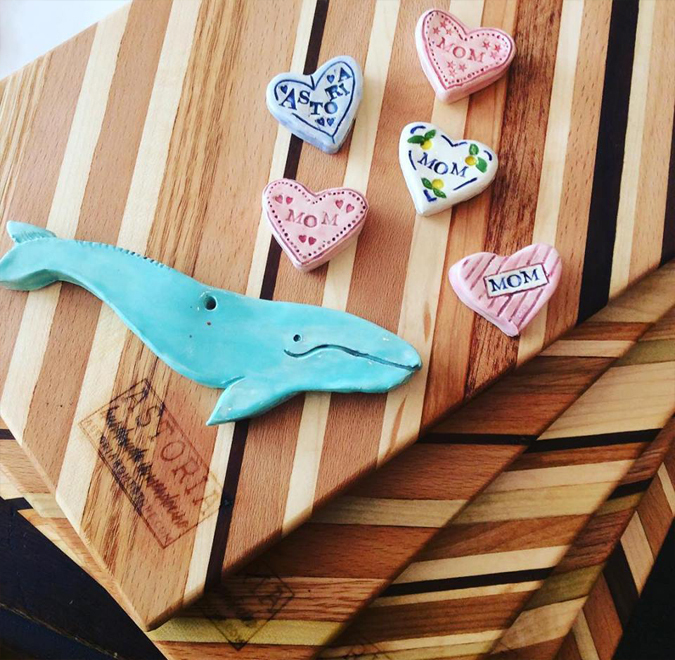 and tree-toting whales, of course! 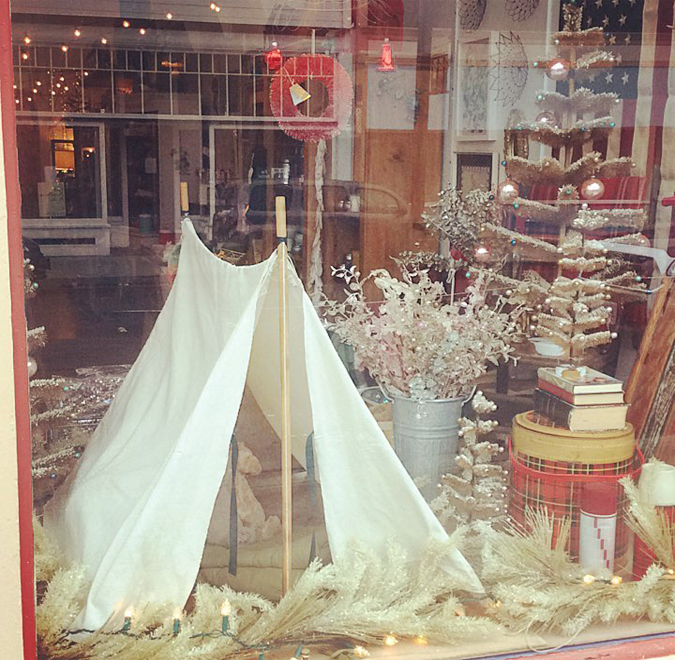 Happy little holiday camping window!! Make sure to stop by tomorrow for first Friday! 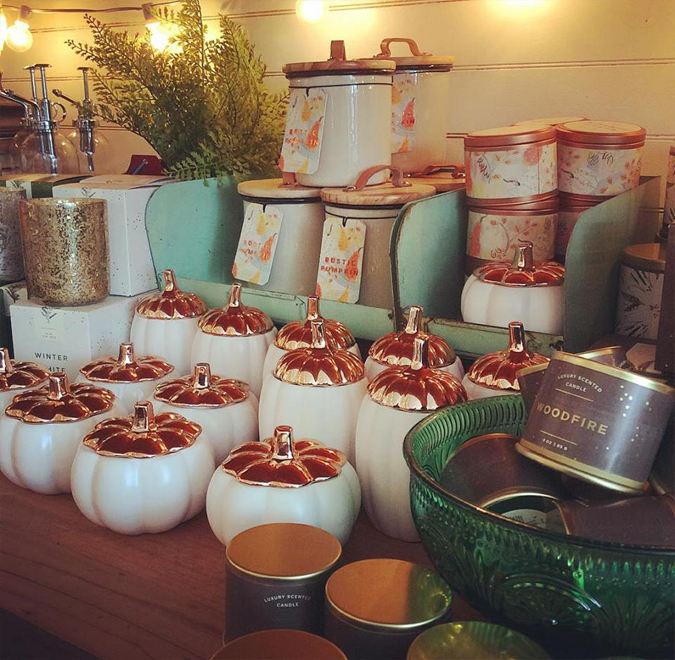 We’ll have hot cider and are all stocked on holiday decor and candles!! 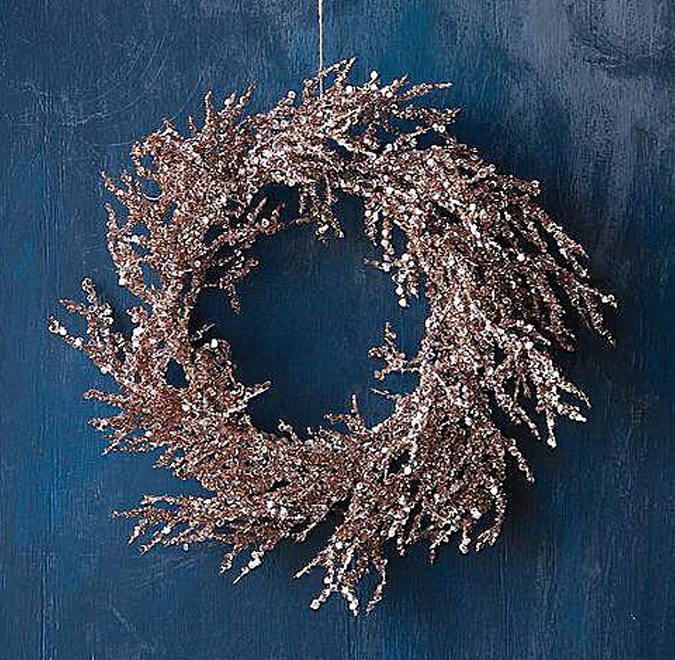 So many super cute and glittery holiday items are in the store! 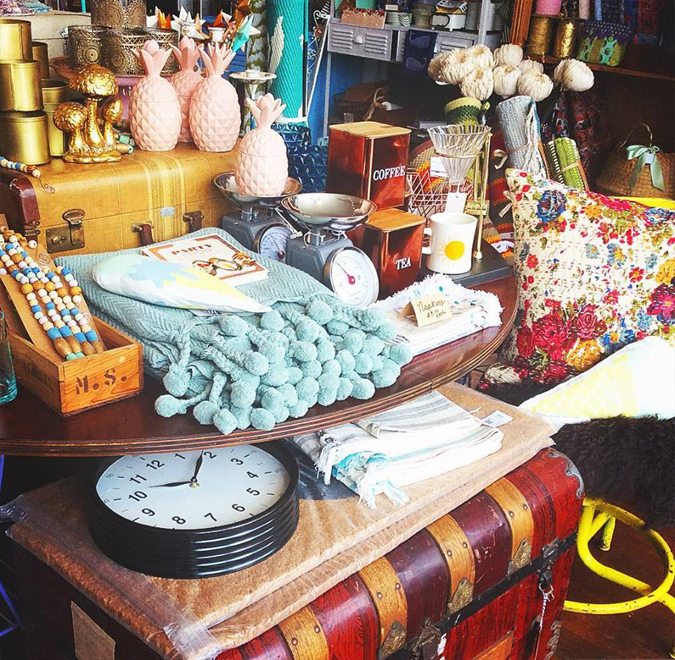 We’re super excited about all the new goodies!! 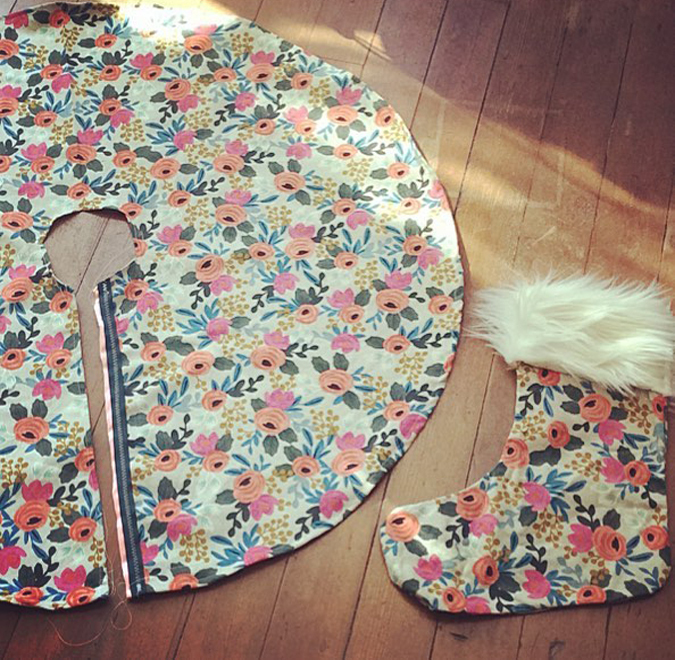 One of our fabulous customers made a skirt with our Rifle Paper Co fabric. Unicorns 🦄 and pineapples 🍍 of course!! 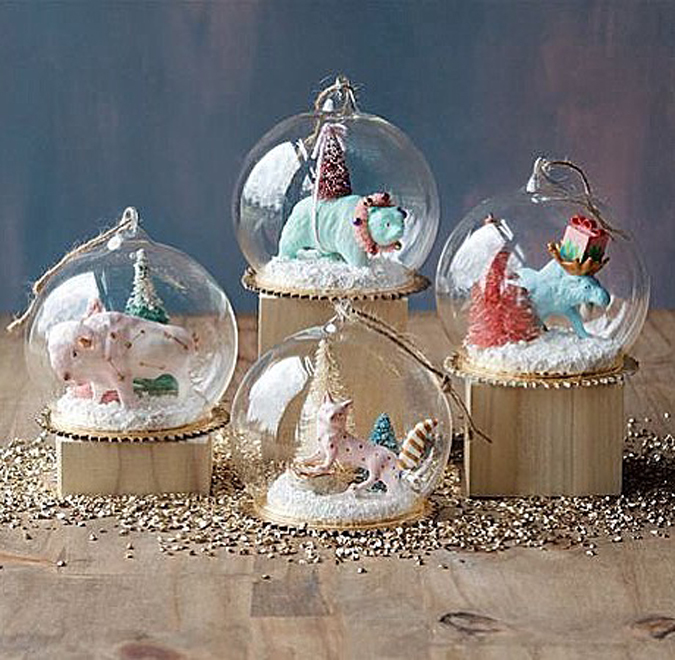 – great as Ornaments or to be part of your mantle-or table-scape! 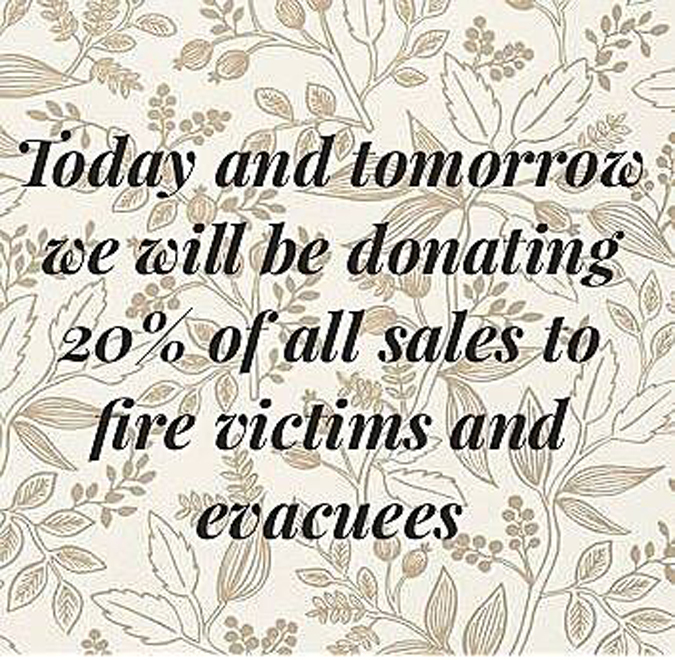 Stop by today or tomorrow to shop some great new items and help our community. 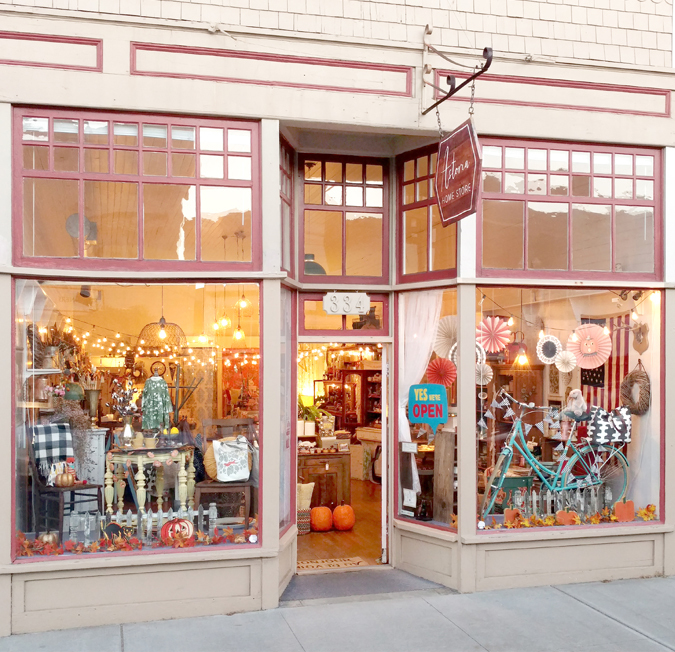 Fall Store Front Photo Finally! Finally a gap in cars along the sidewalk to take the picture! Online shop will have some items soon! 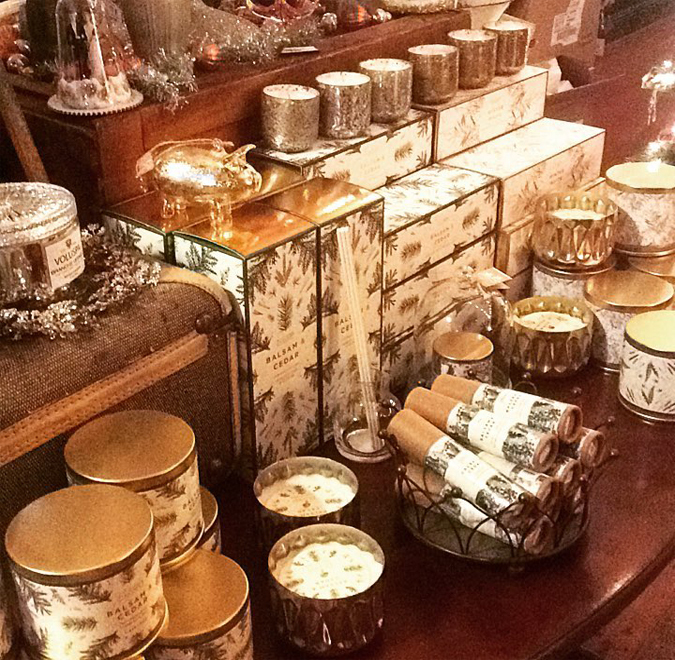 Lots of seasonal candles in stock to warm these chilly nights! Don’t forget First Friday is tonight and we’ll have a tasty beverage, of course!